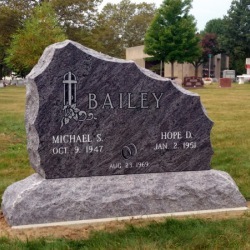 An upright monument stands upright on a base. 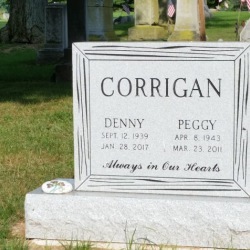 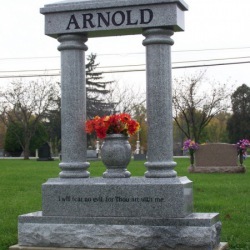 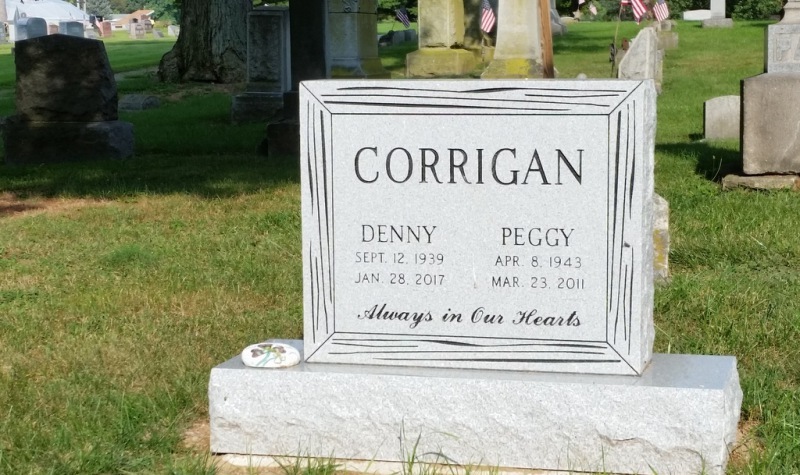 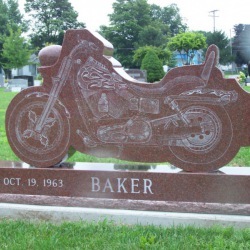 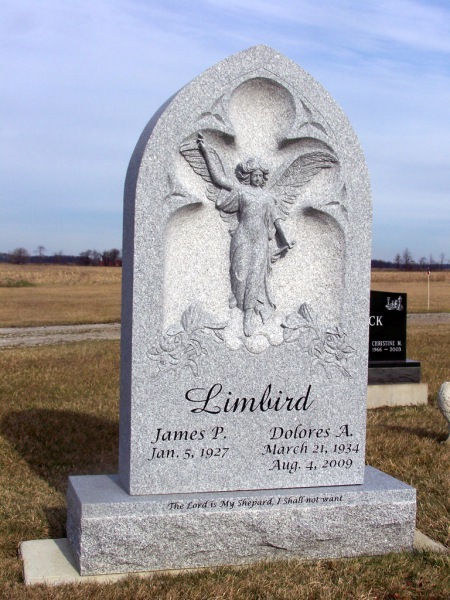 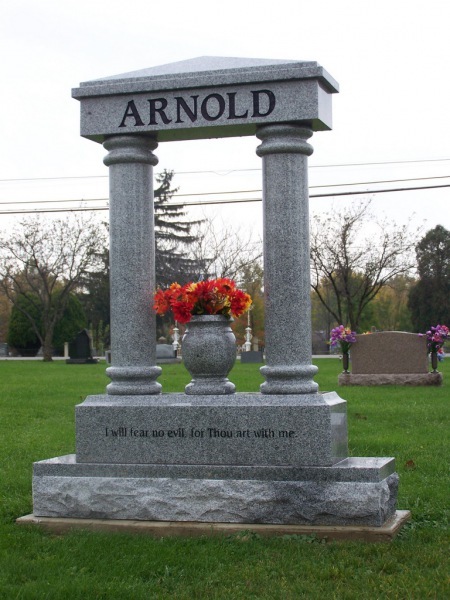 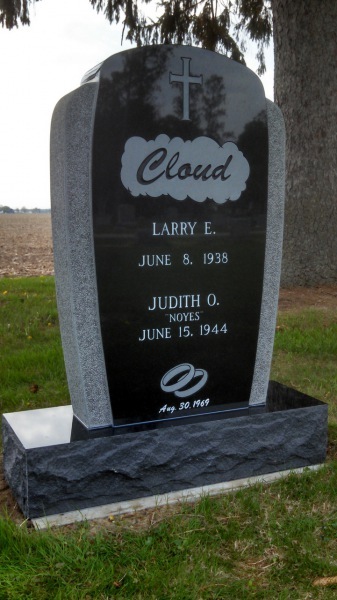 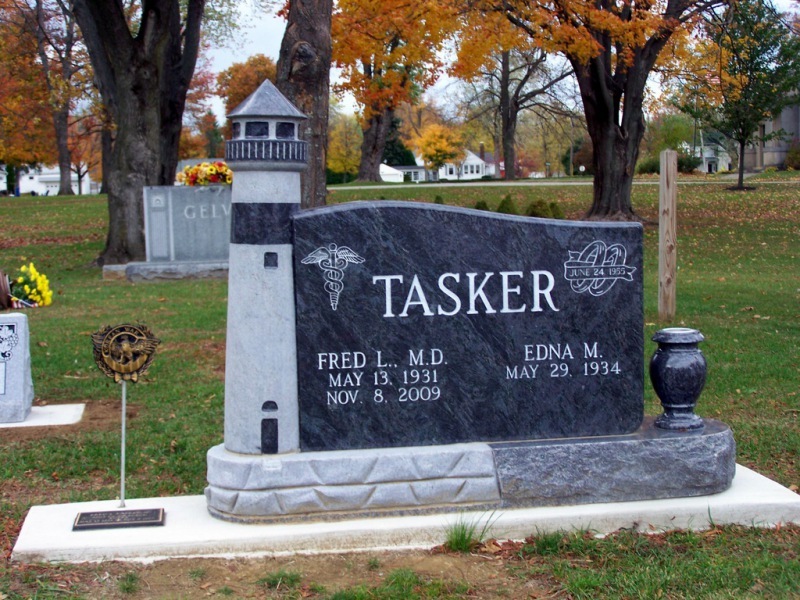 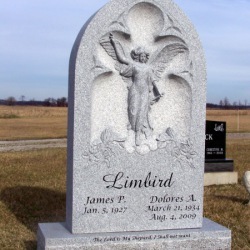 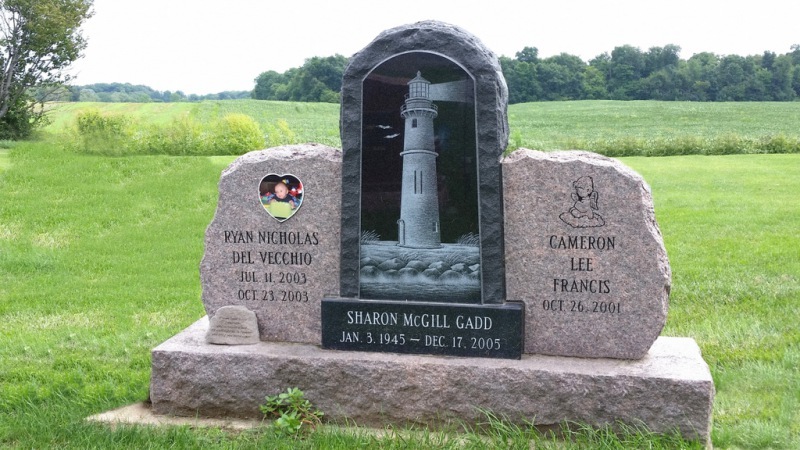 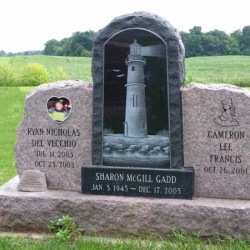 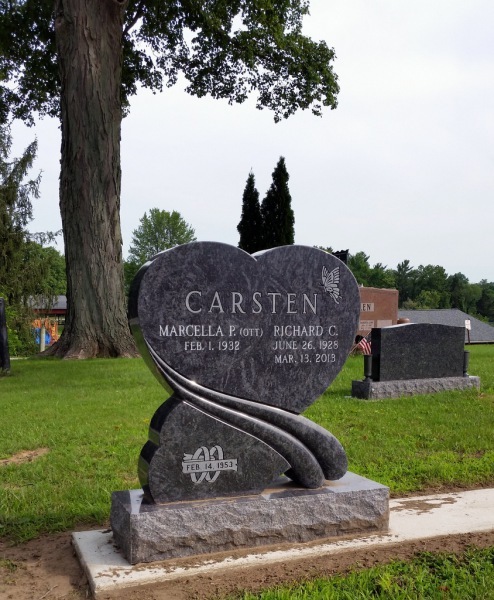 Upright monuments can be any size, shape or color, and unlike flat or bevel stones can be seen from a distance. 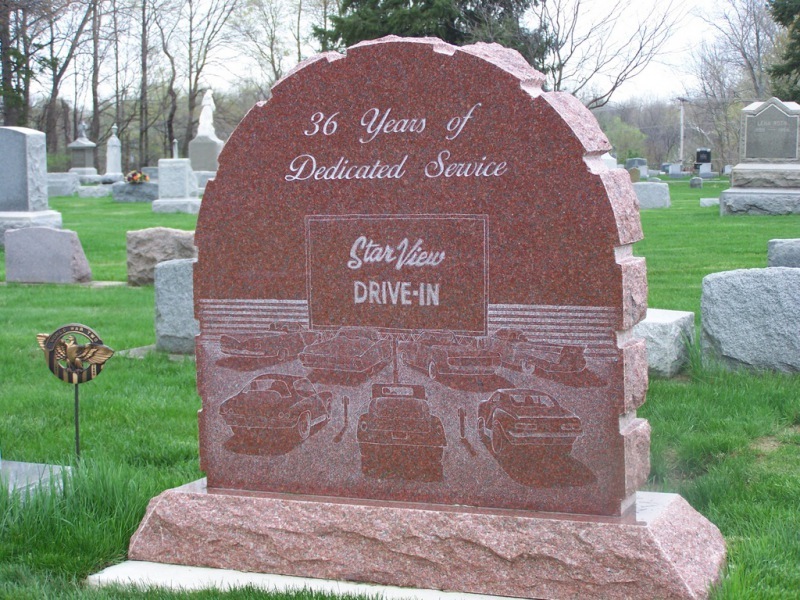 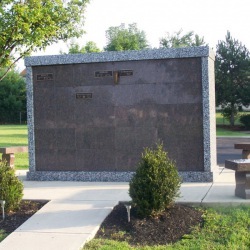 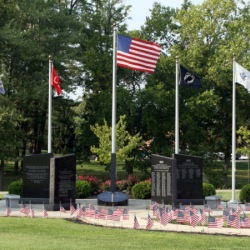 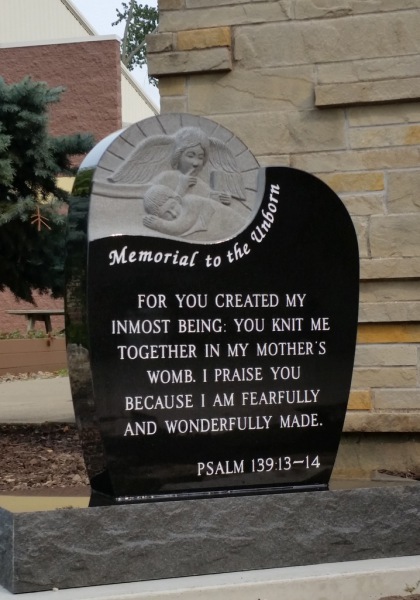 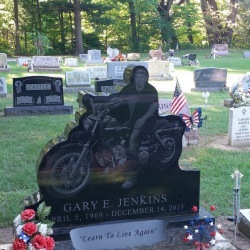 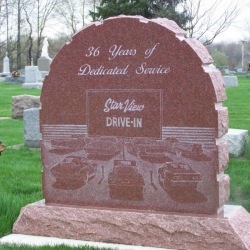 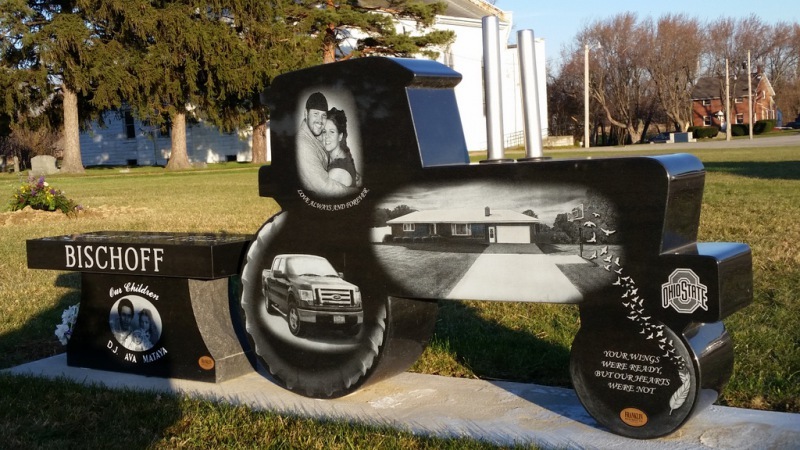 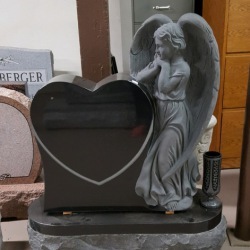 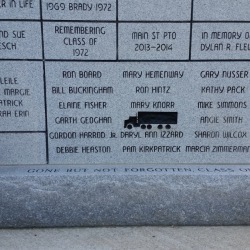 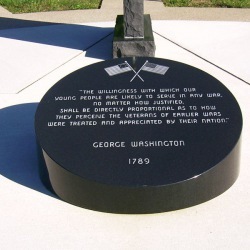 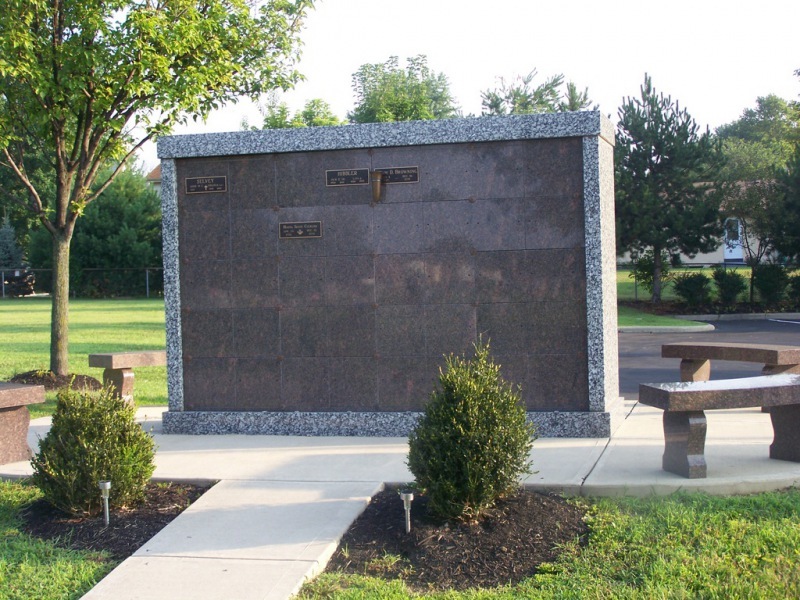 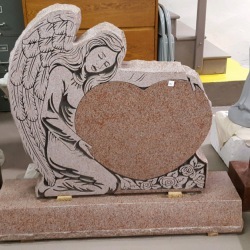 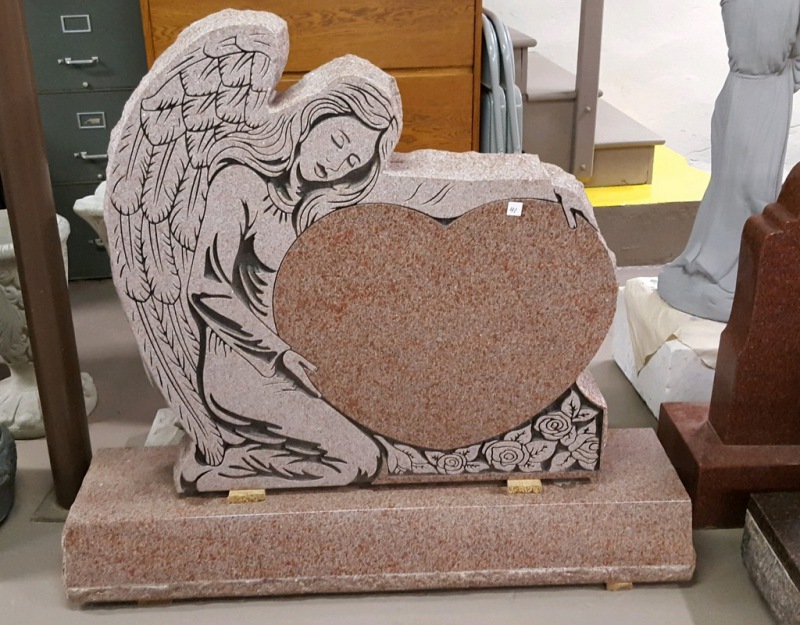 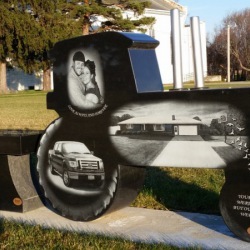 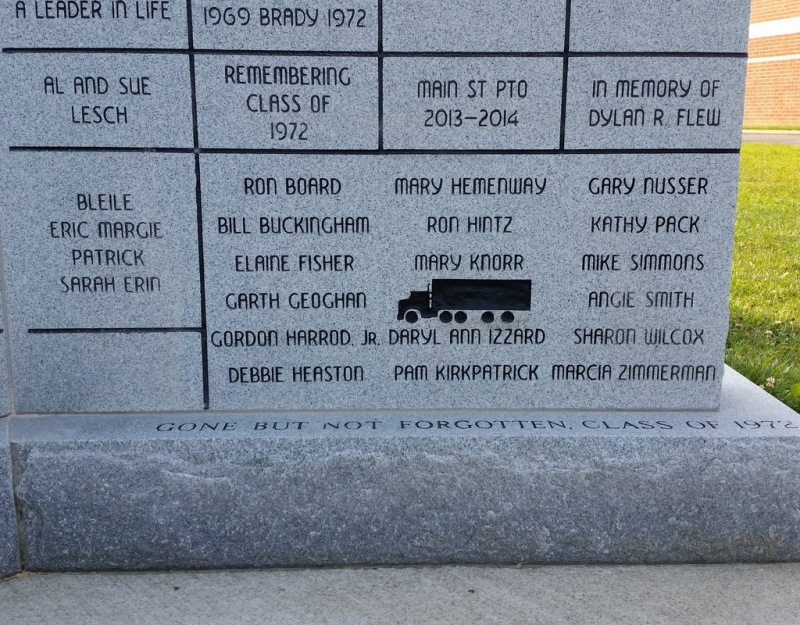 At Franklin Monument, we are passionate about creating that unique memorial for you or your loved one. 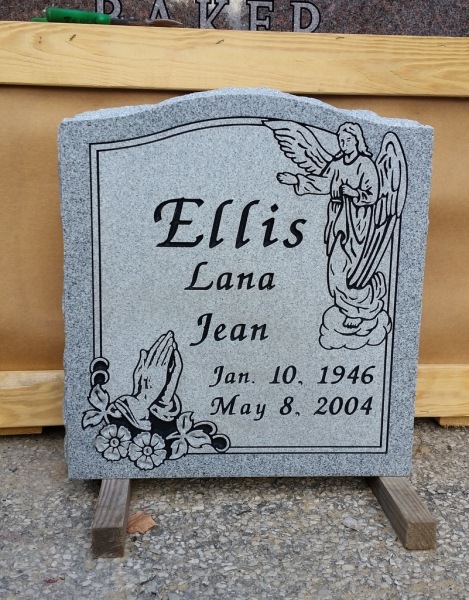 We can custom design almost anything you want! 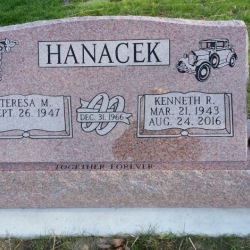 Slanted markers are slanted on the front, and straight on the back. 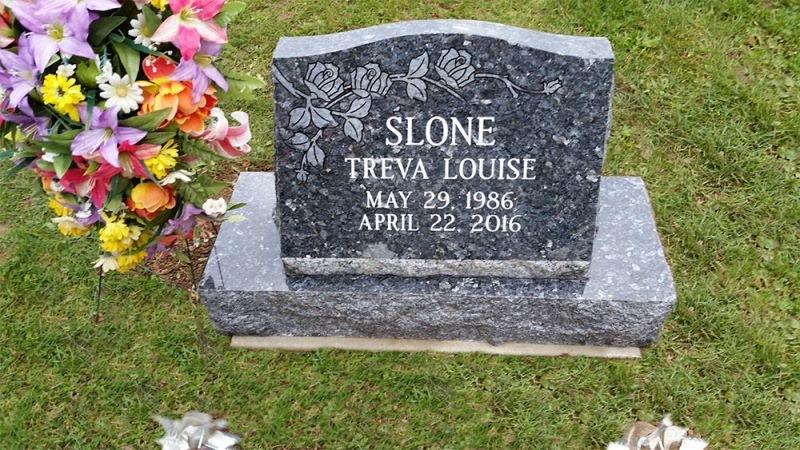 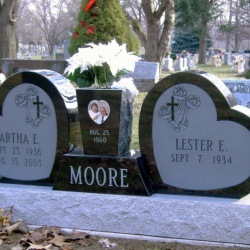 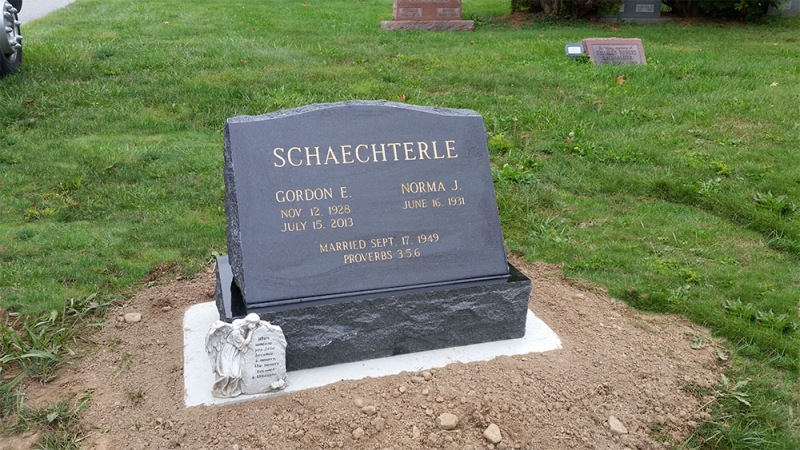 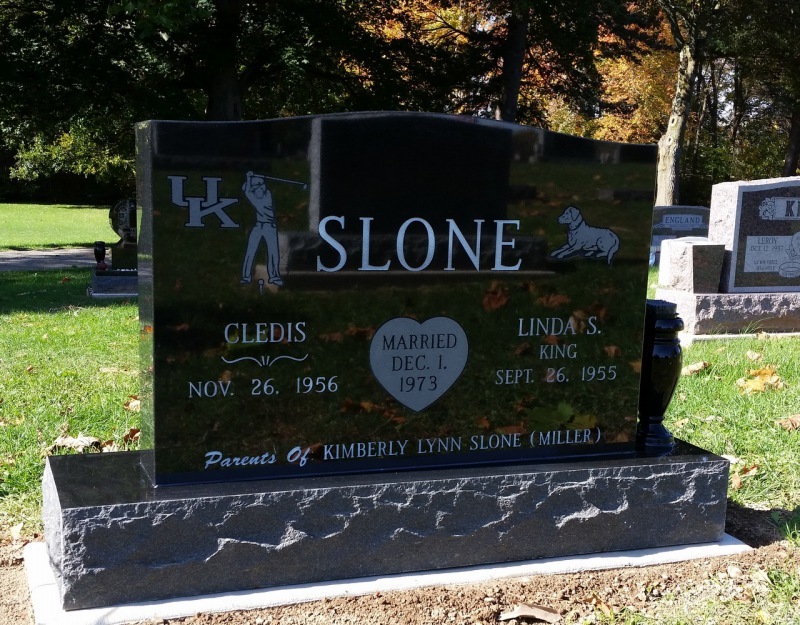 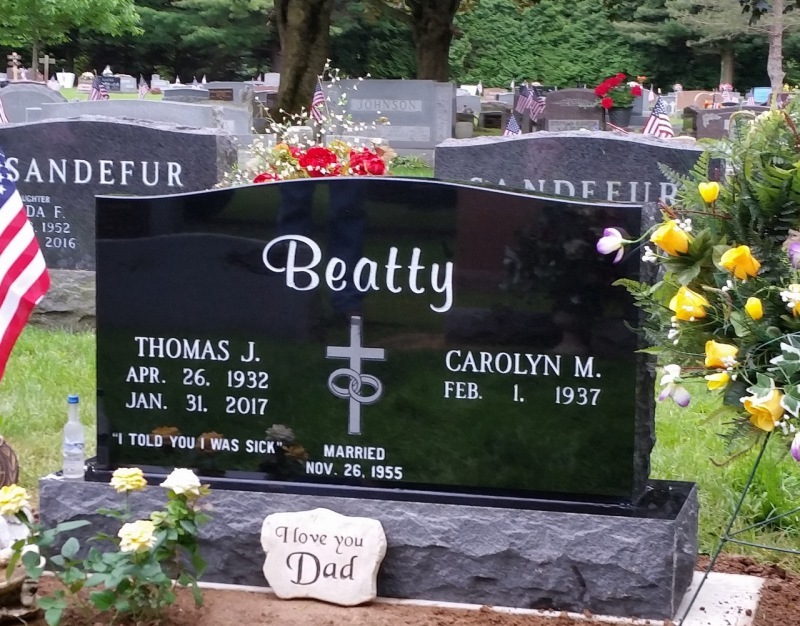 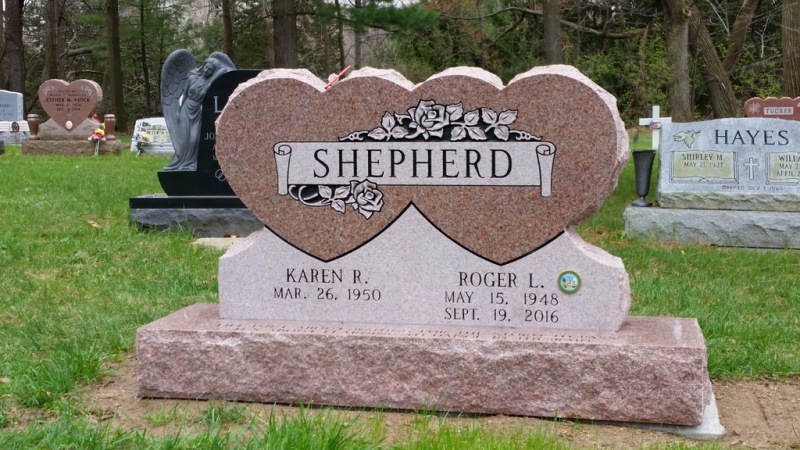 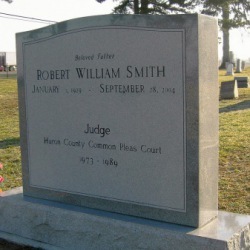 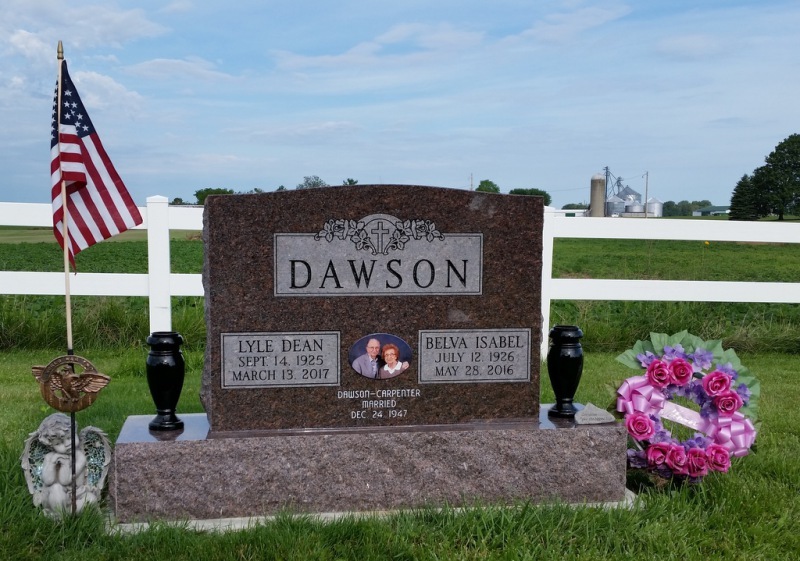 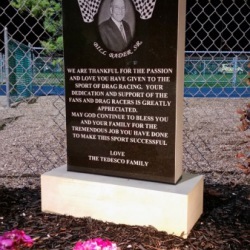 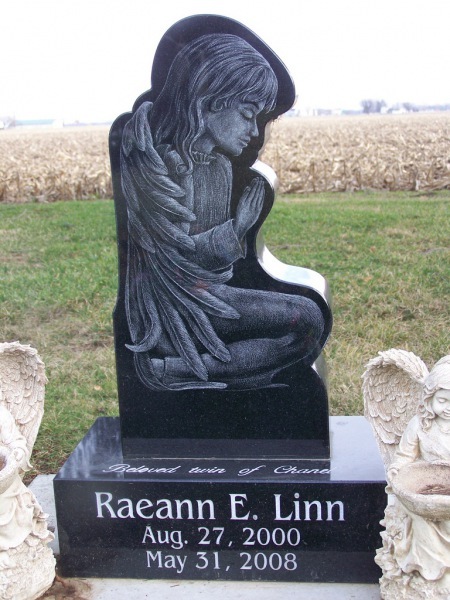 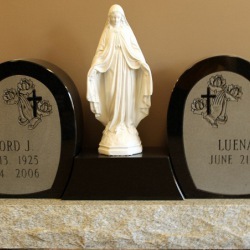 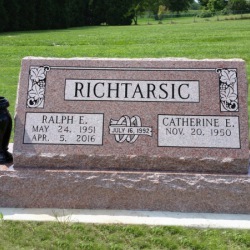 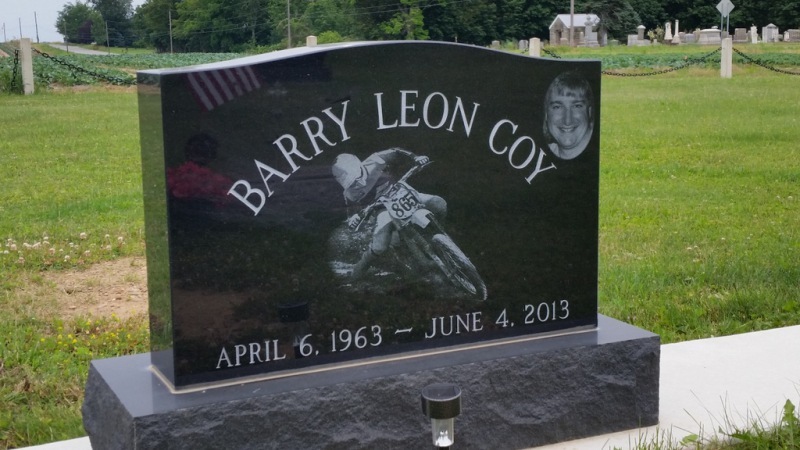 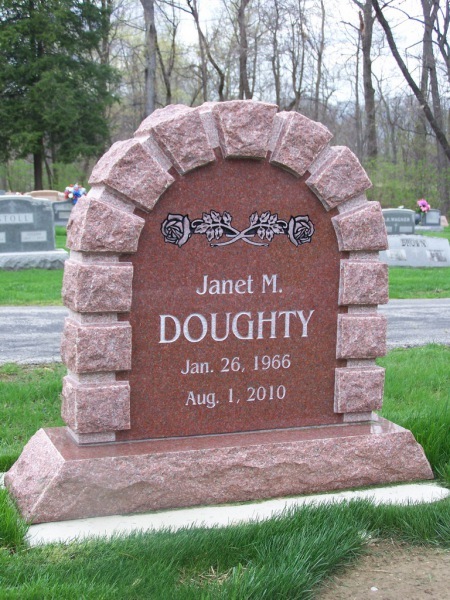 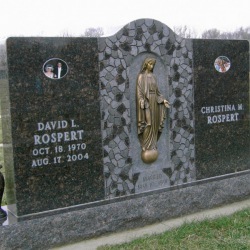 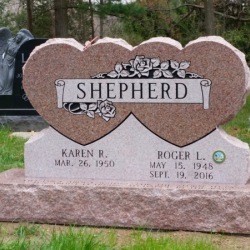 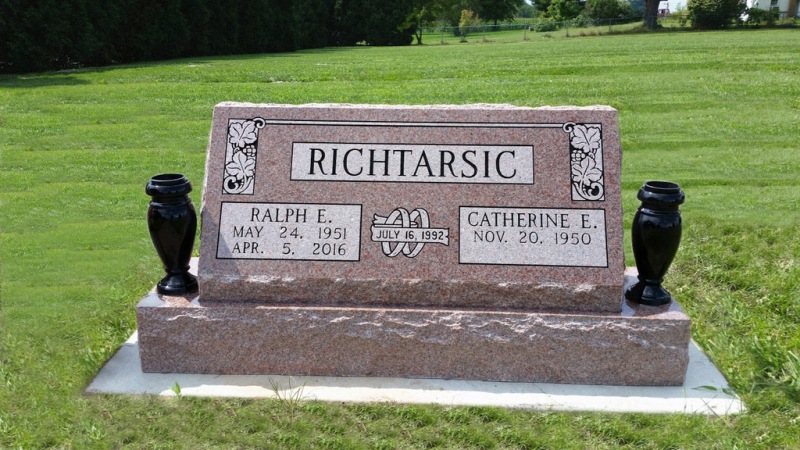 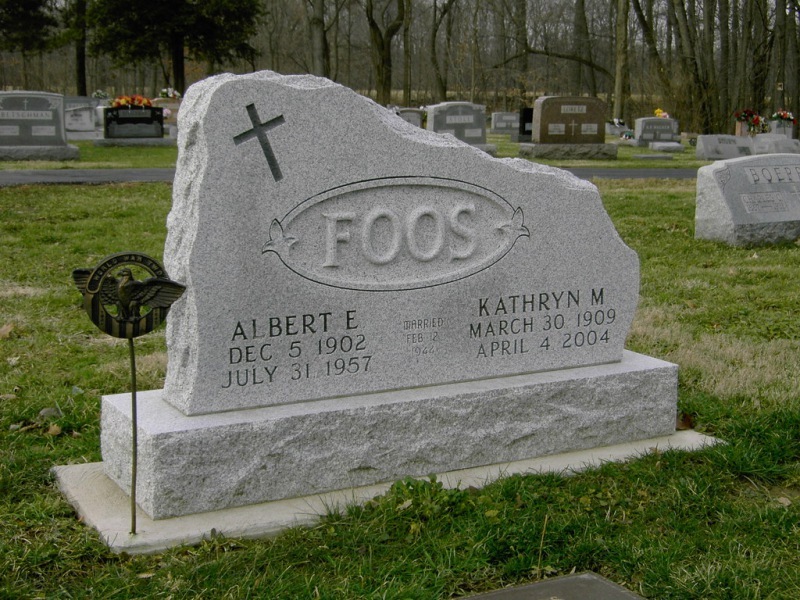 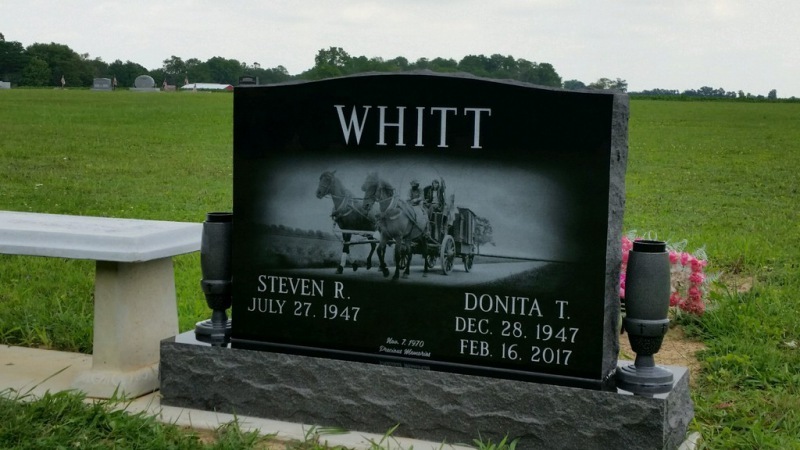 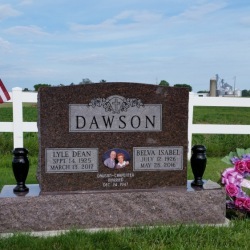 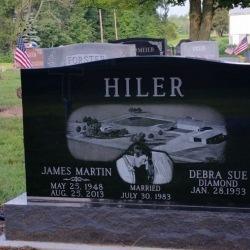 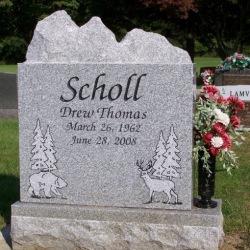 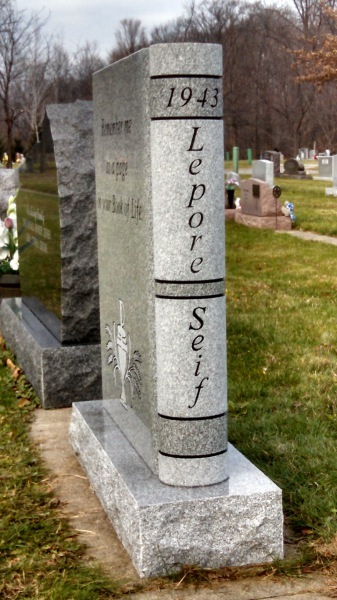 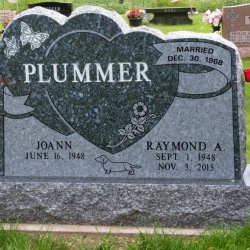 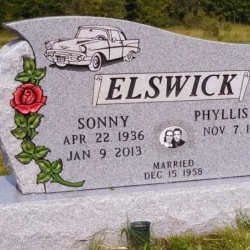 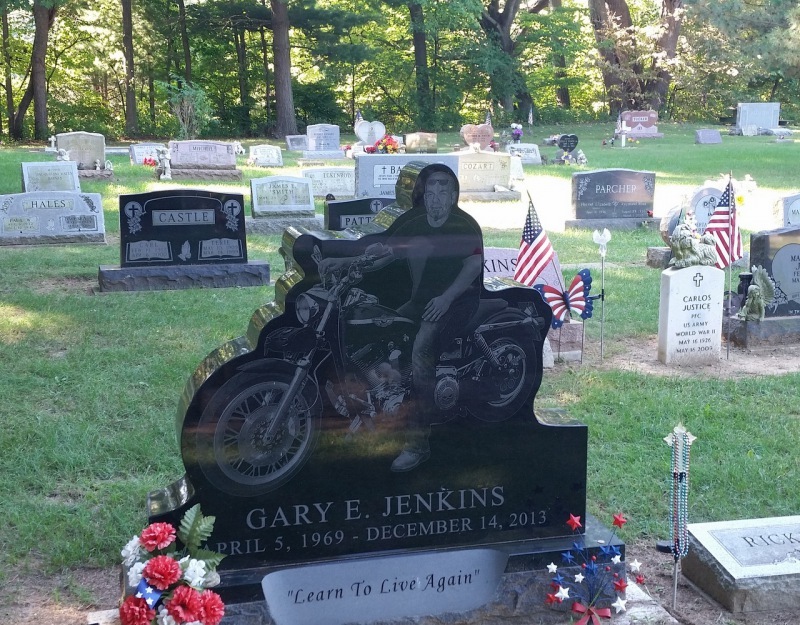 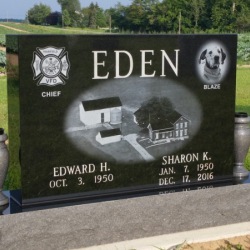 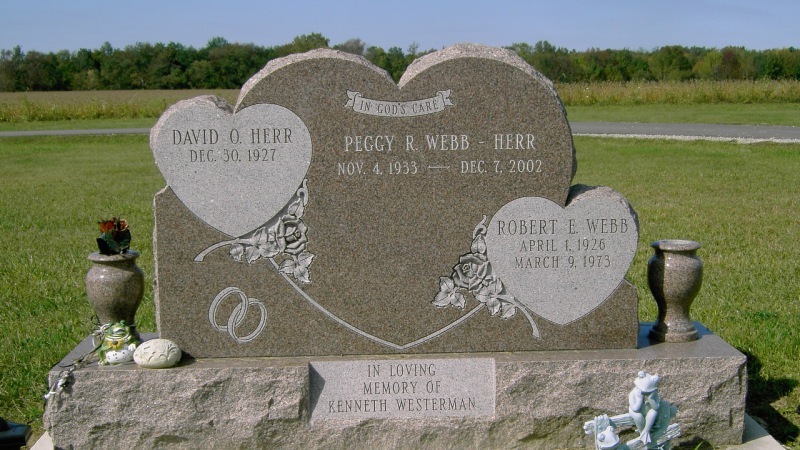 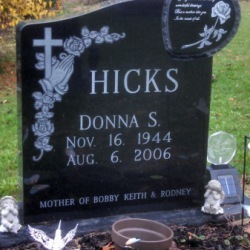 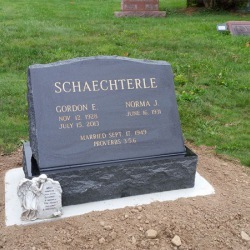 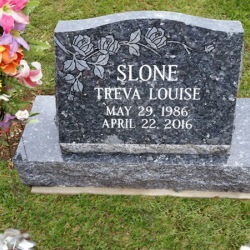 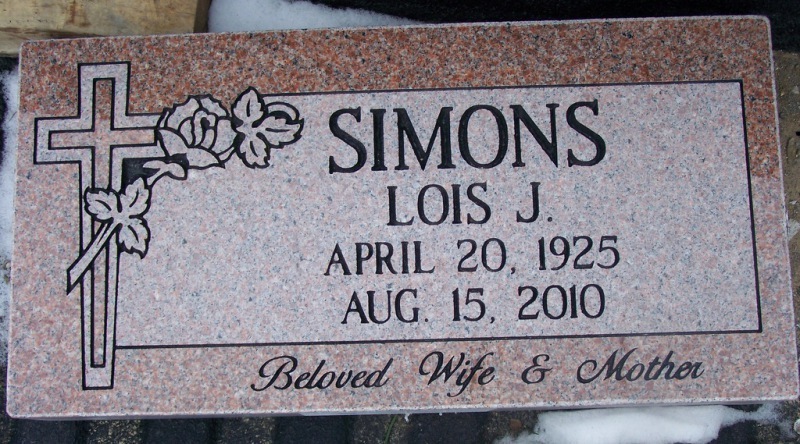 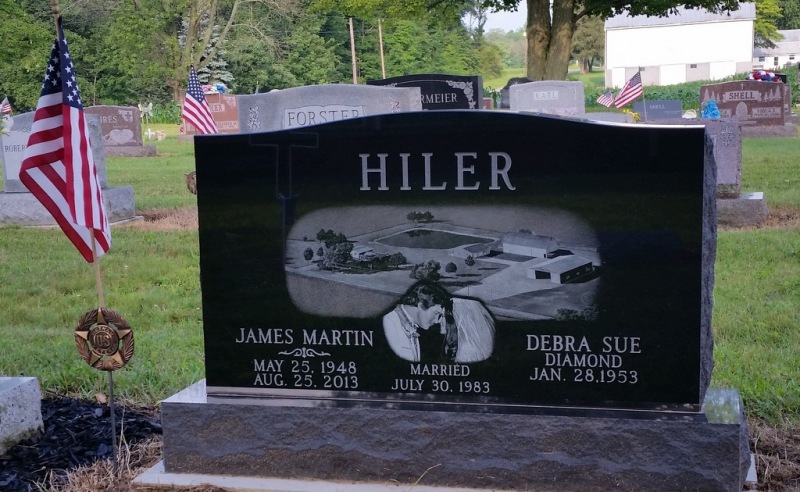 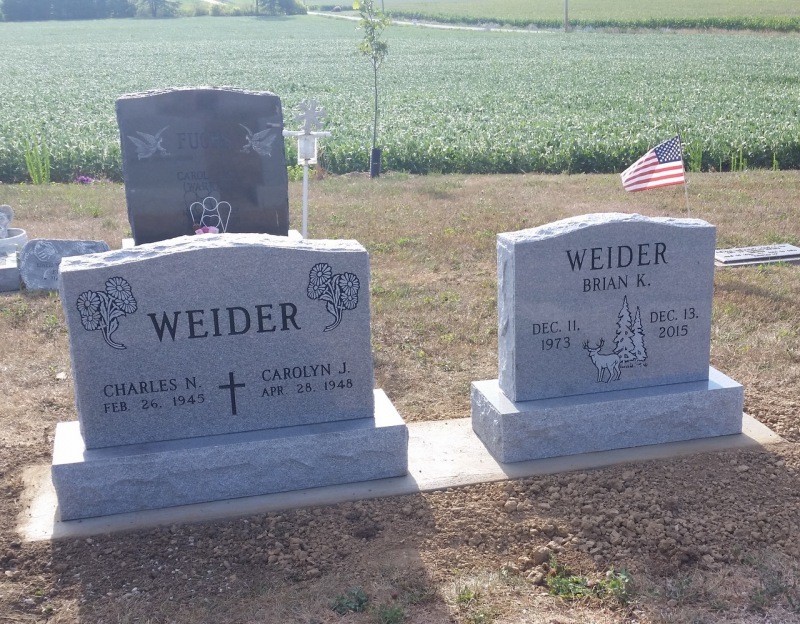 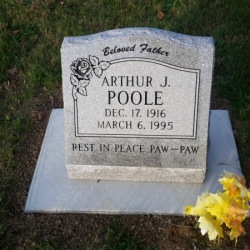 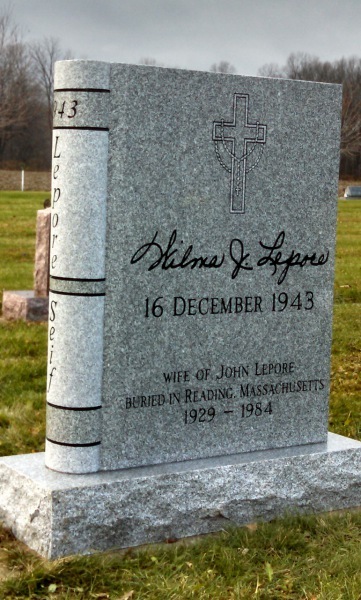 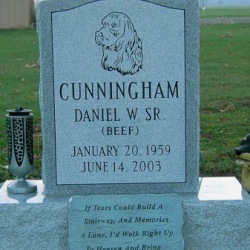 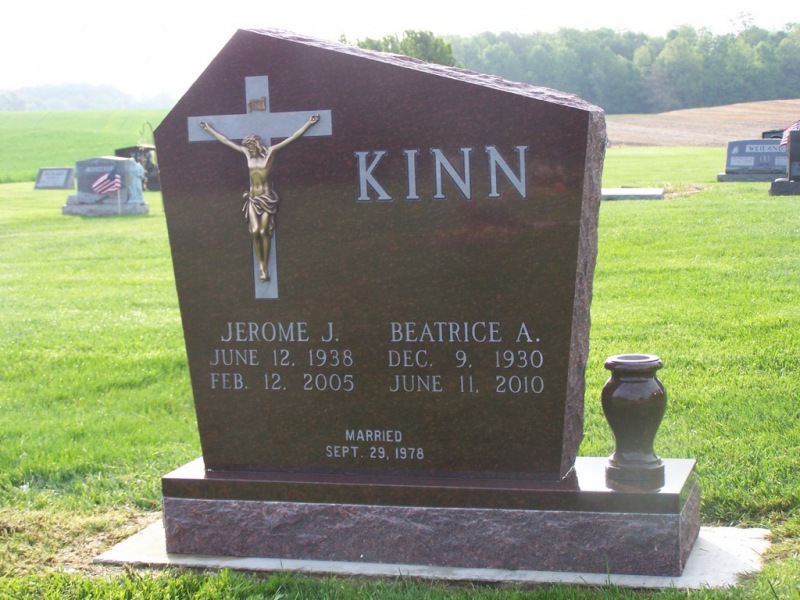 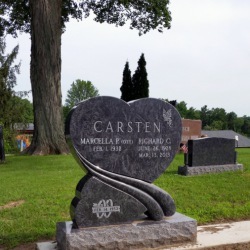 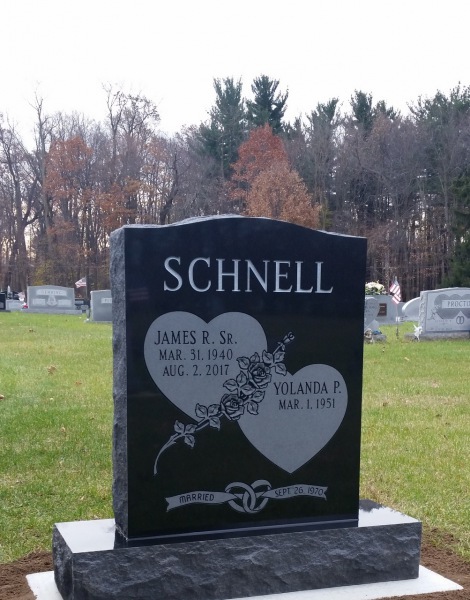 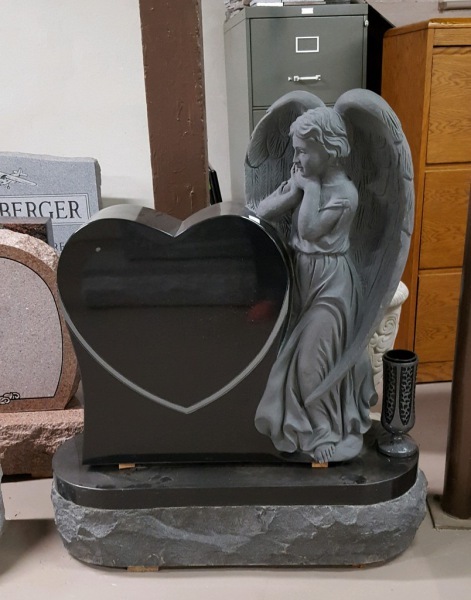 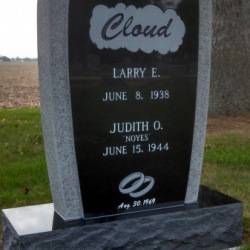 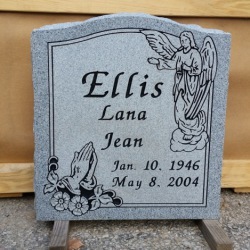 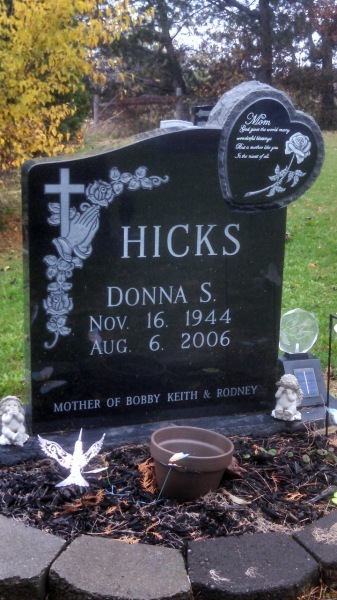 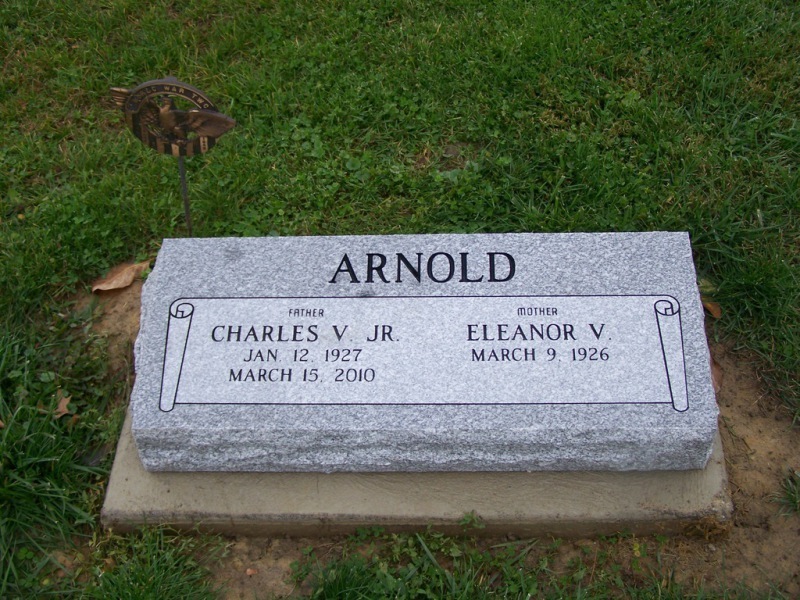 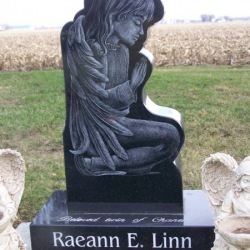 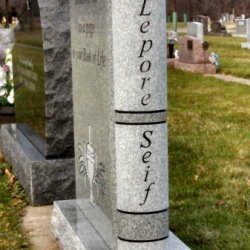 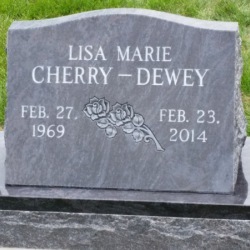 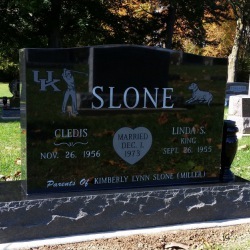 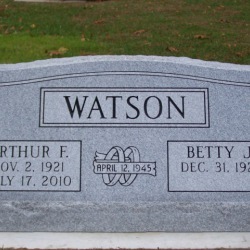 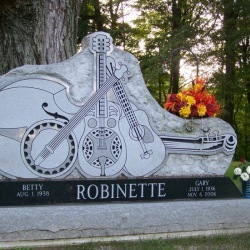 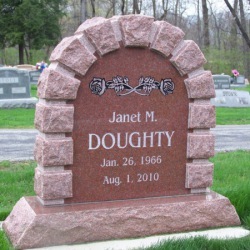 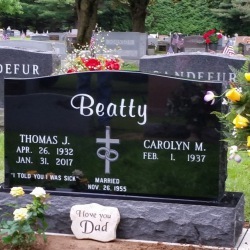 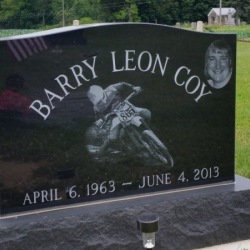 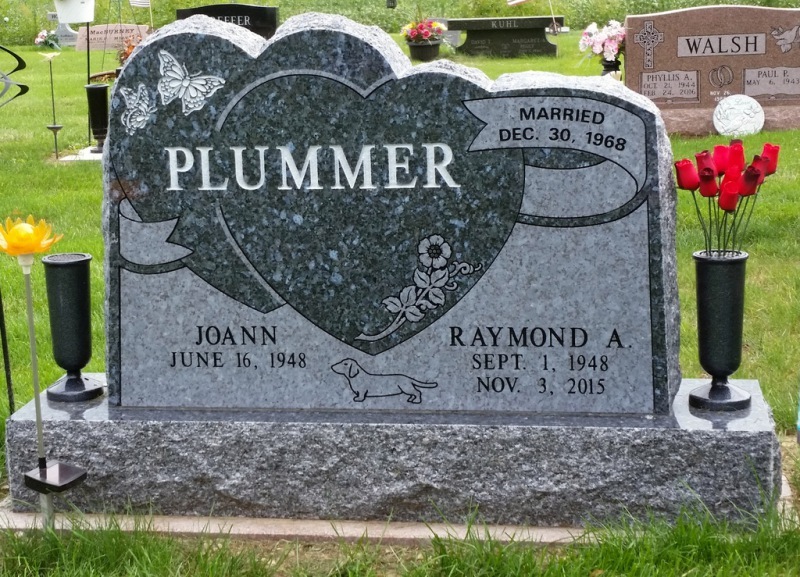 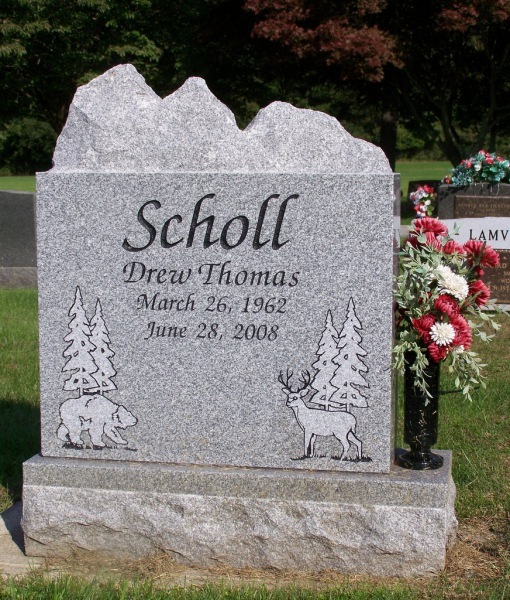 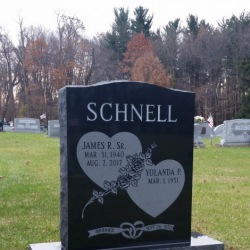 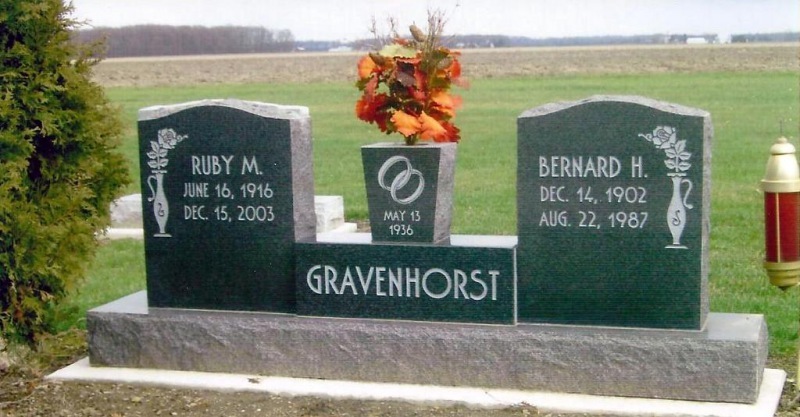 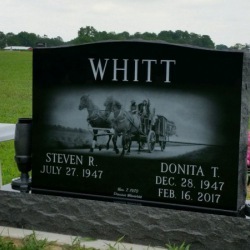 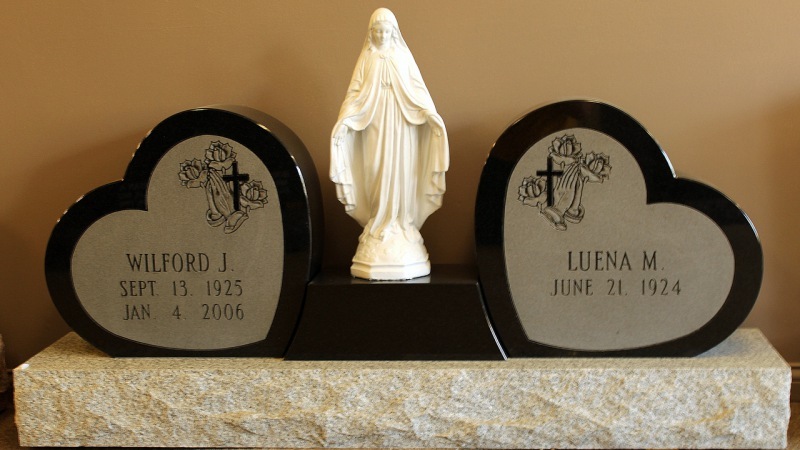 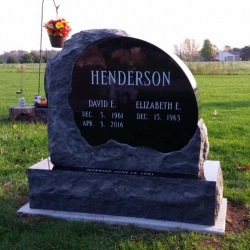 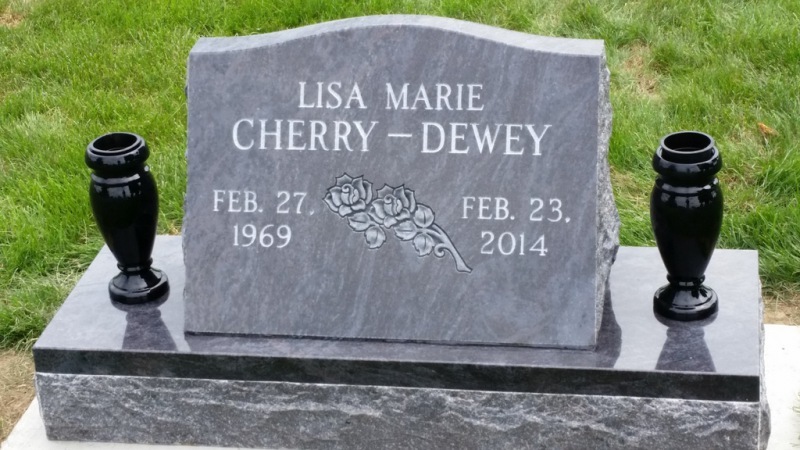 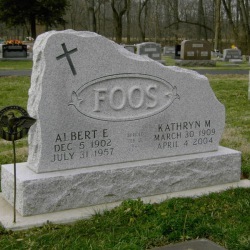 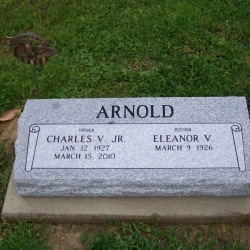 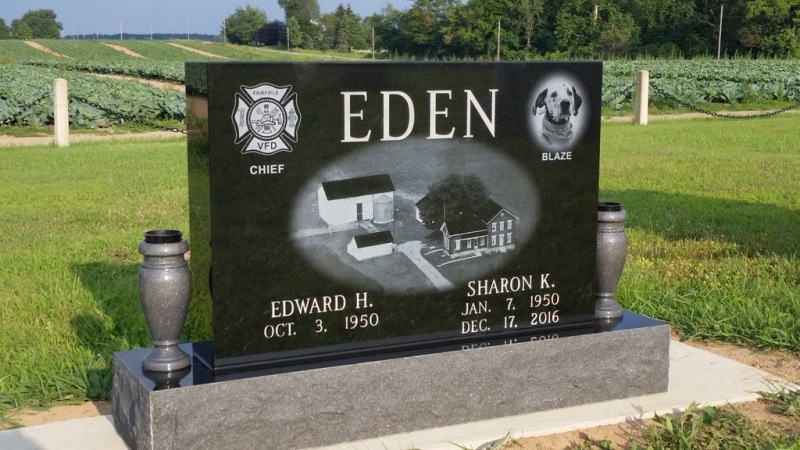 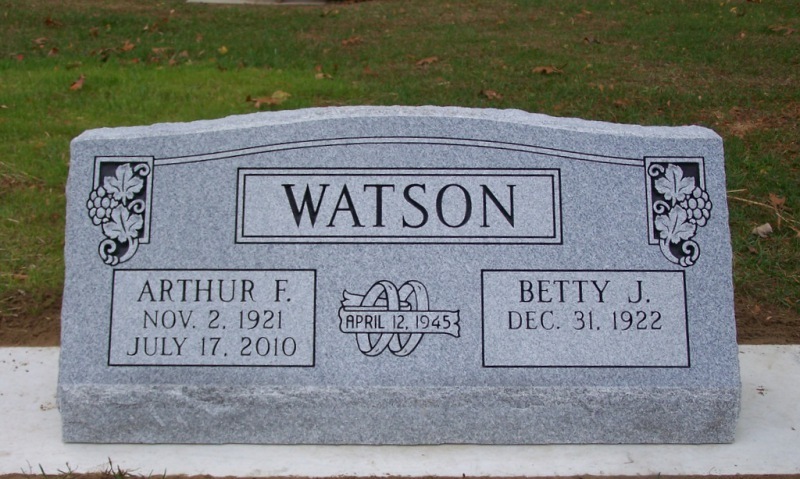 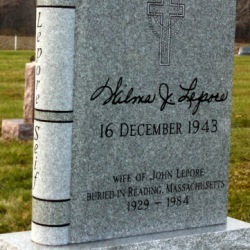 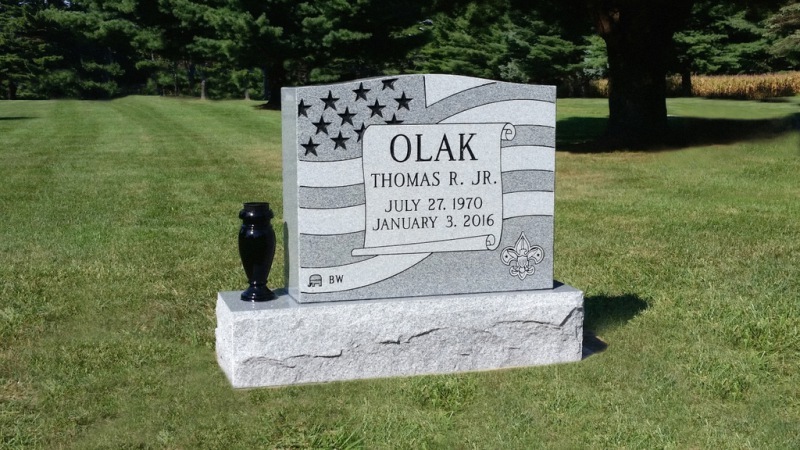 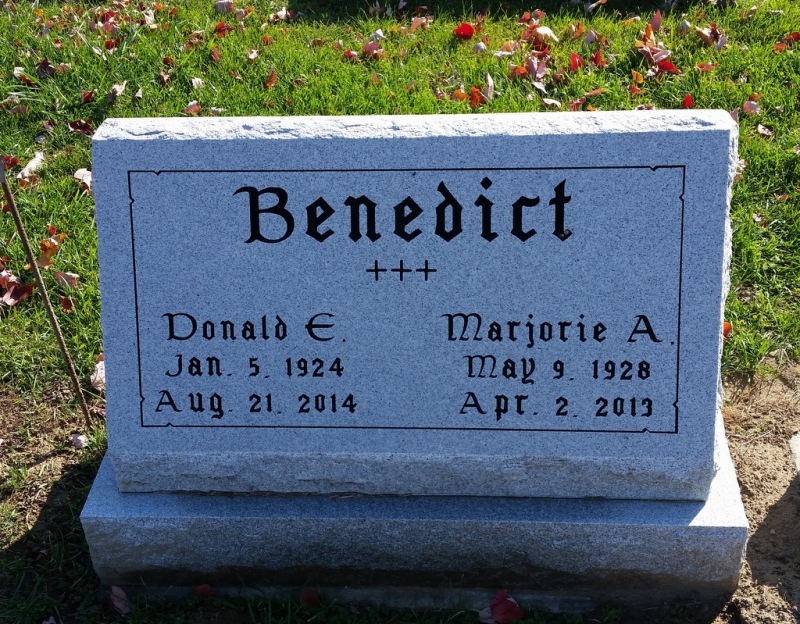 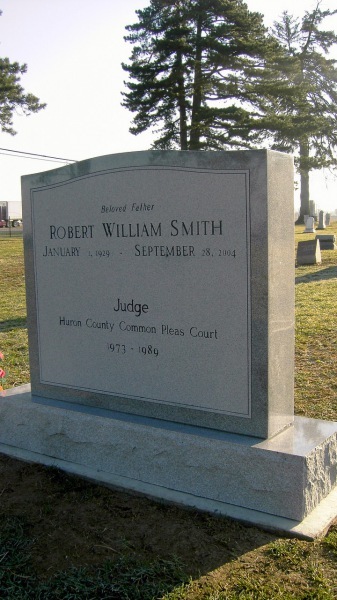 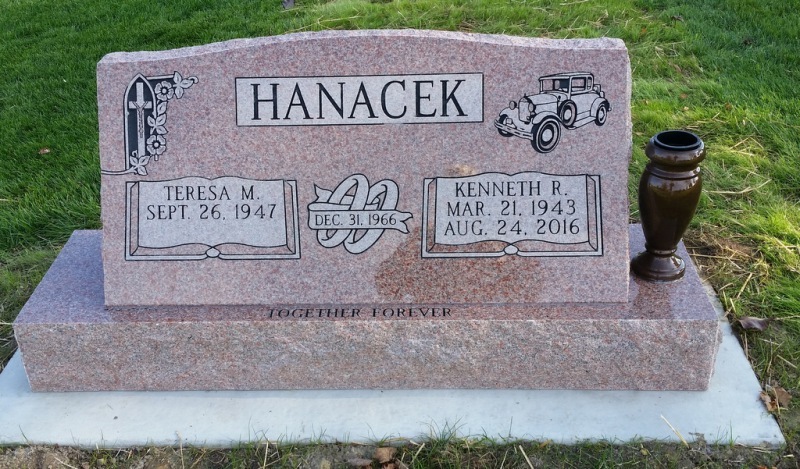 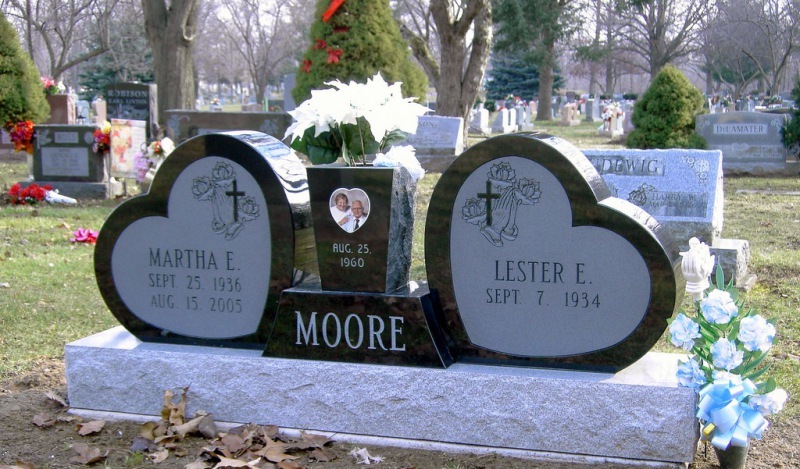 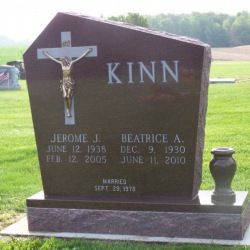 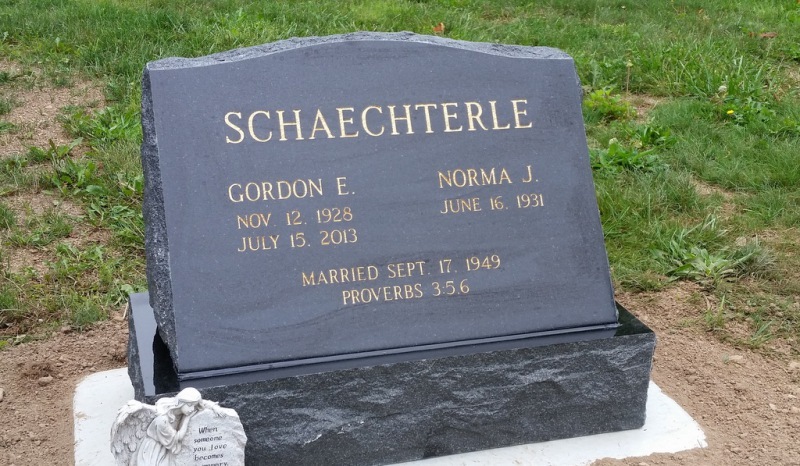 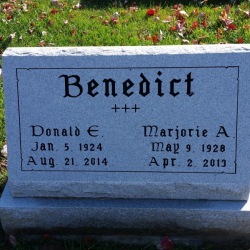 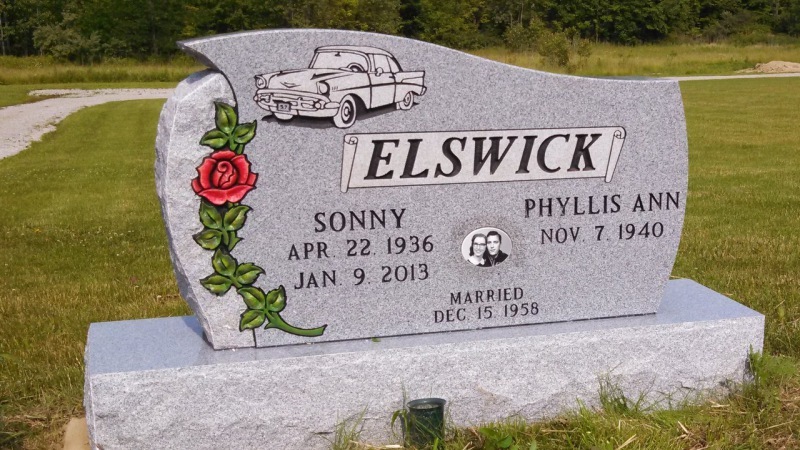 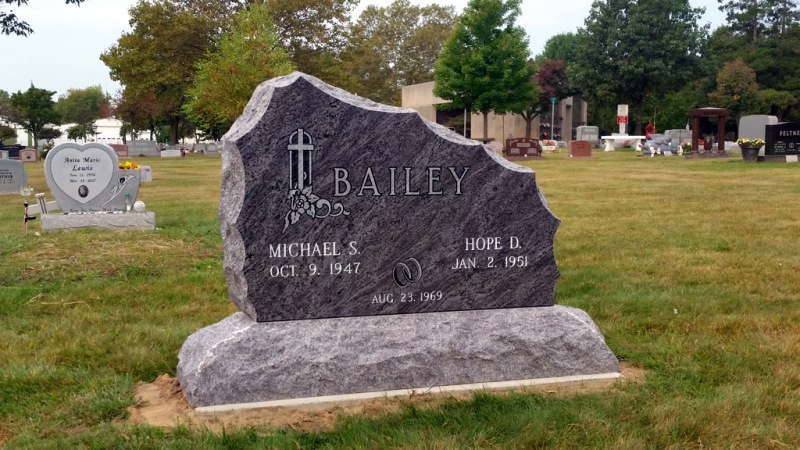 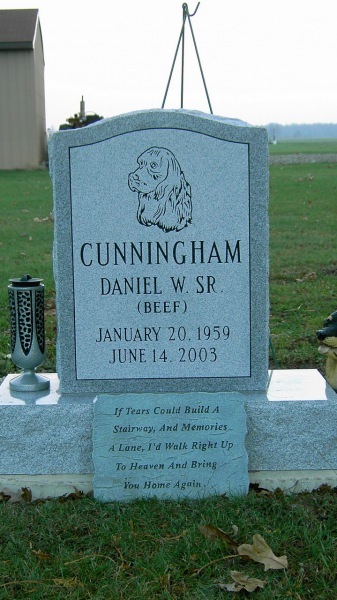 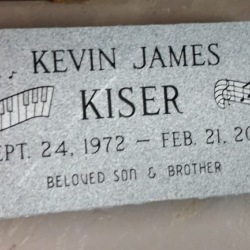 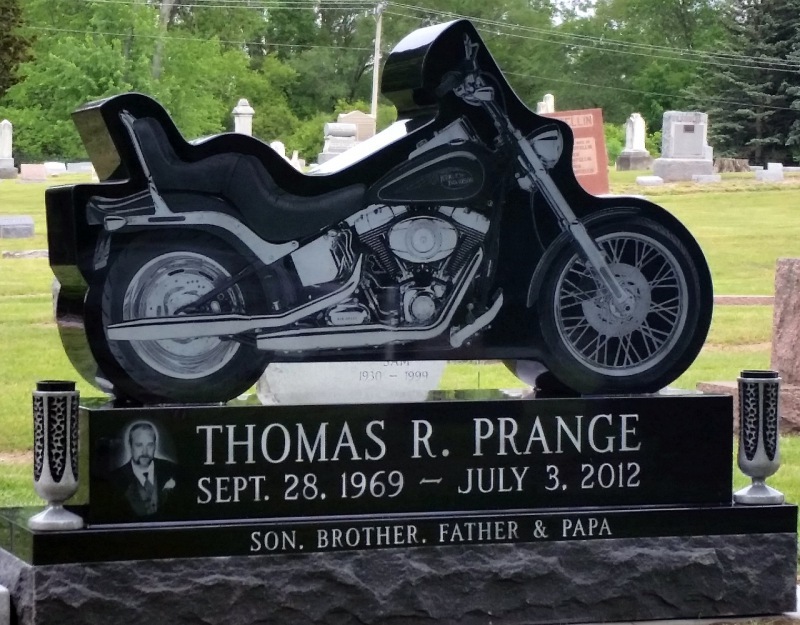 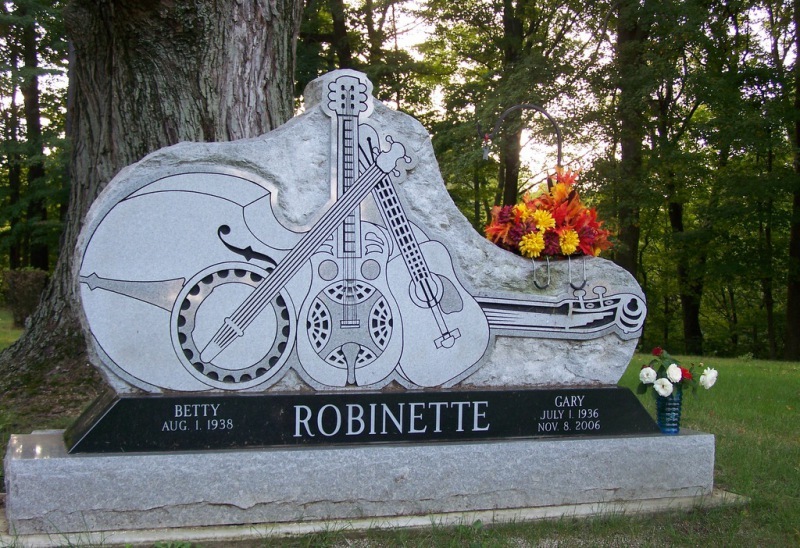 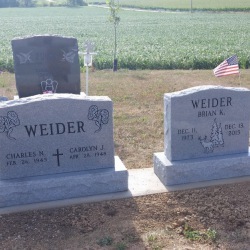 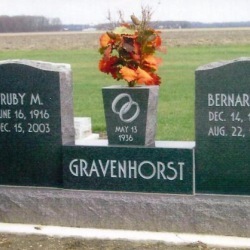 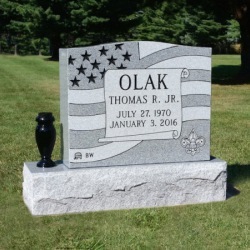 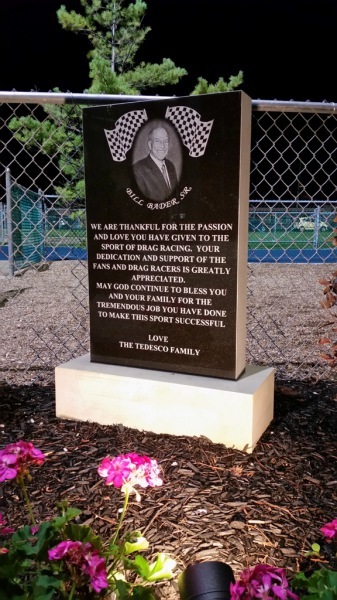 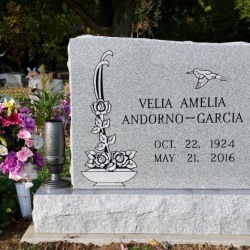 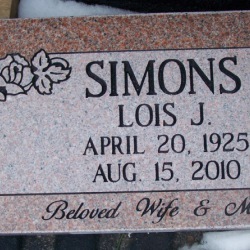 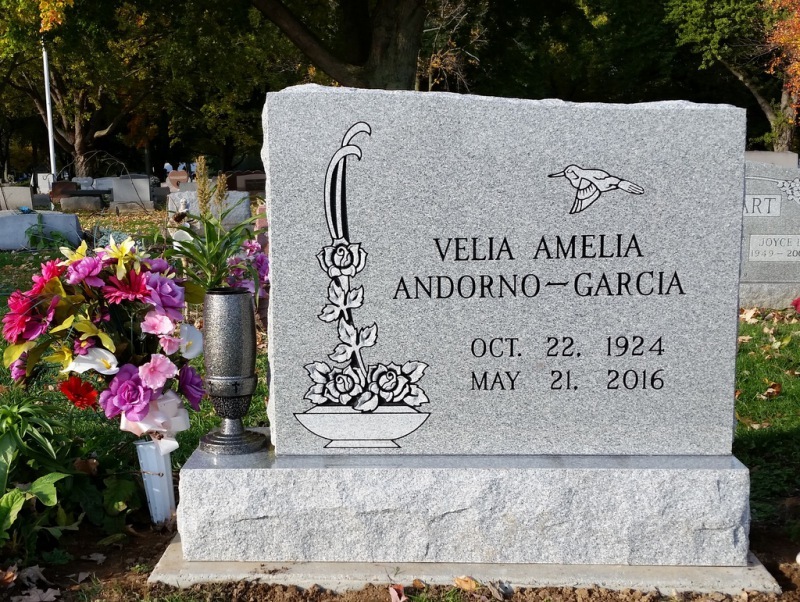 Slant headstones can sit on a base, or directly on the footer without a base. 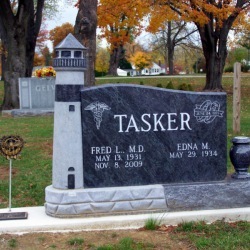 Bevel markers are sometimes referred to as Pillow markers because that is what they resemble. 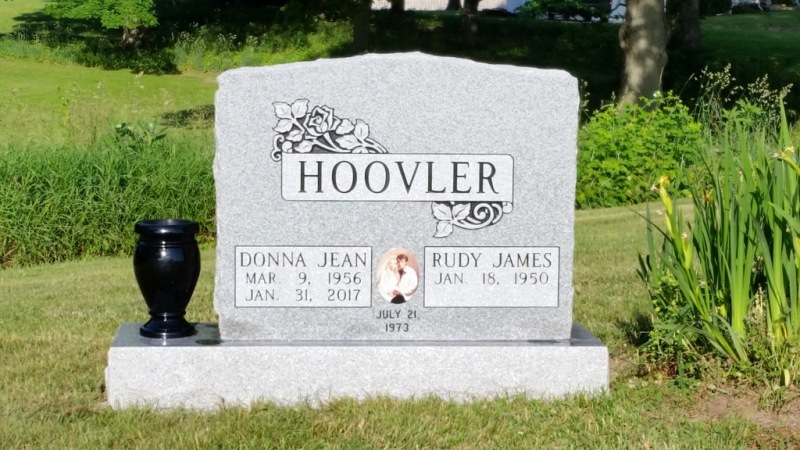 Bevels have a slight slant to them. 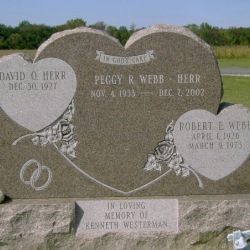 Flat markers lay flat to the ground, or on top of the footer. 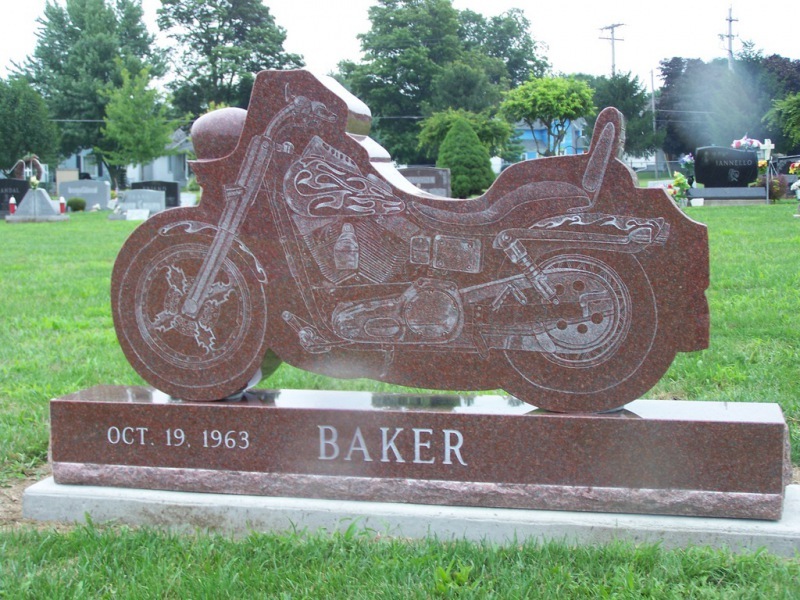 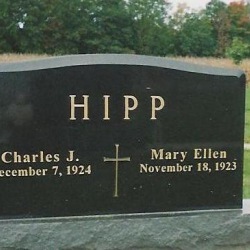 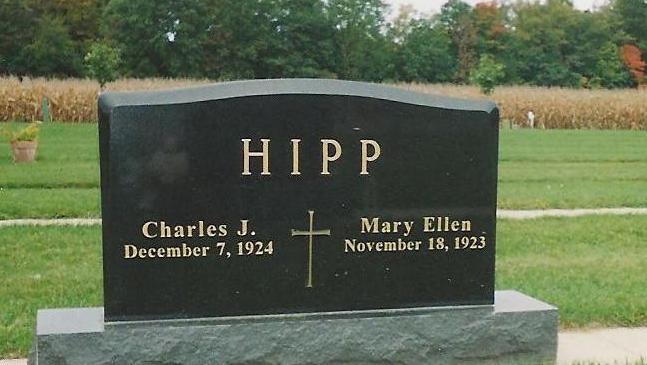 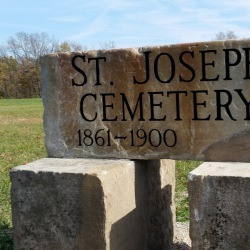 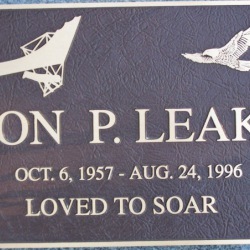 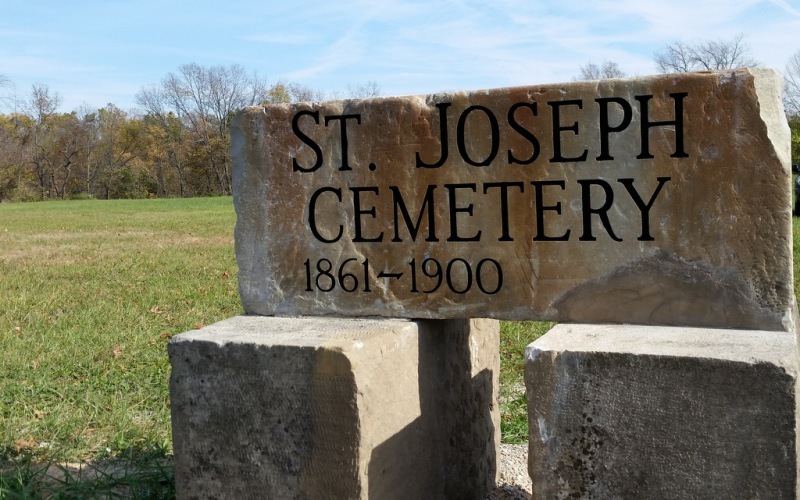 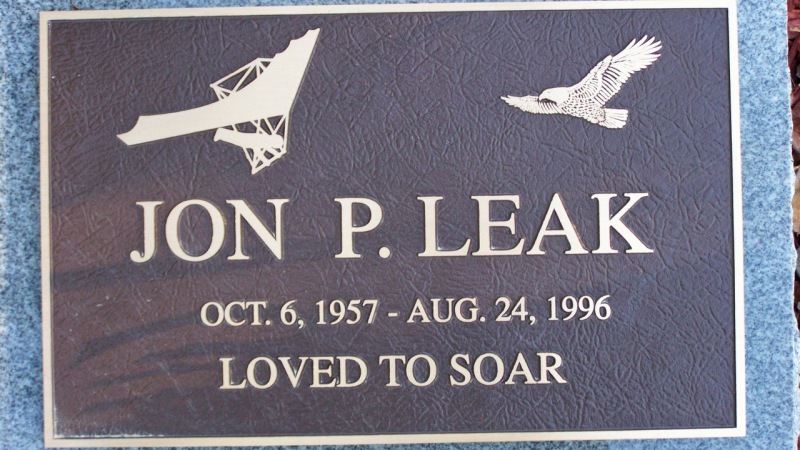 Some cemeteries require only flat markers. 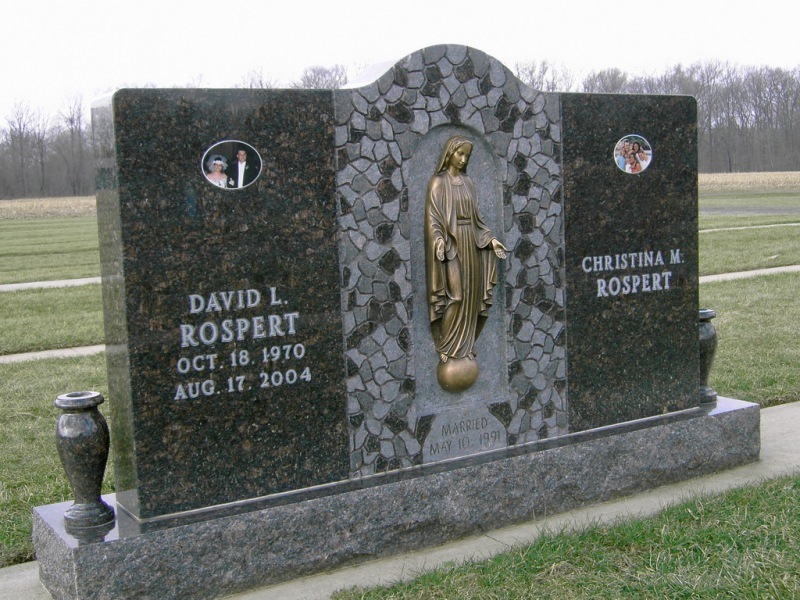 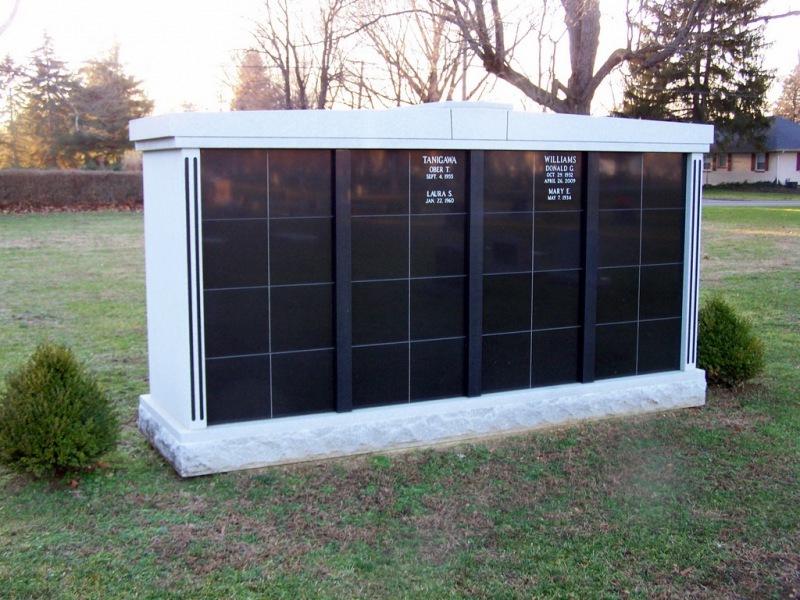 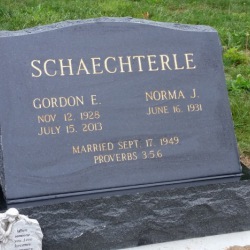 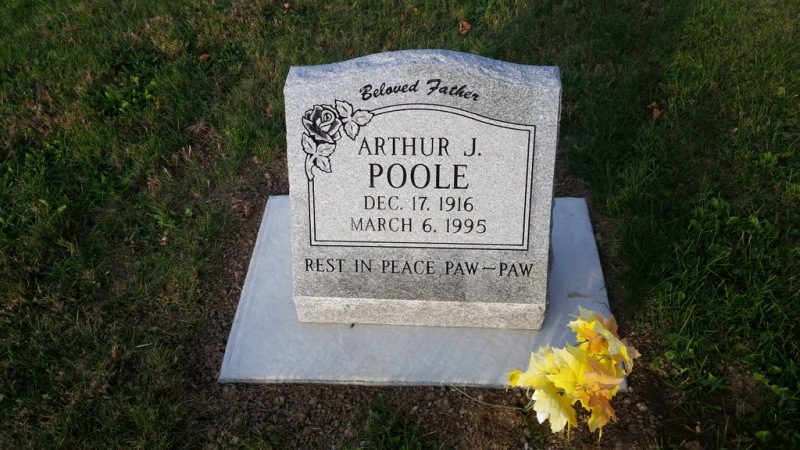 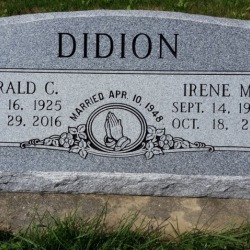 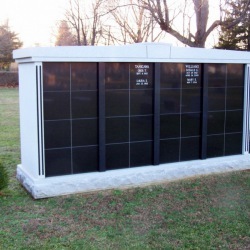 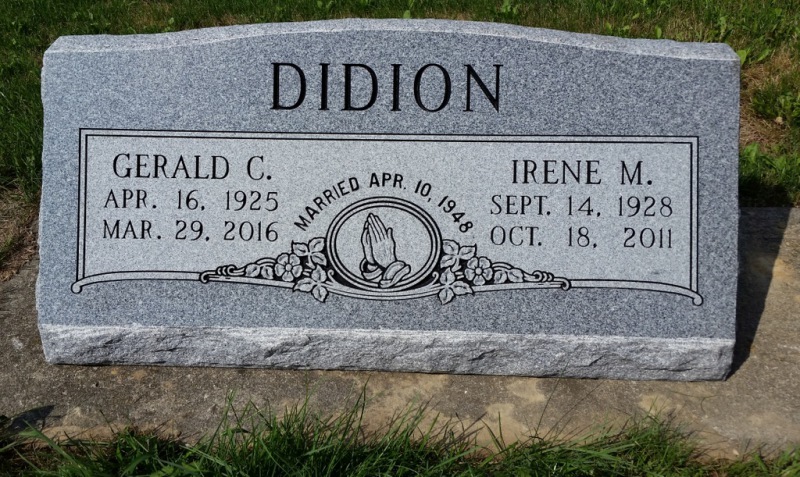 Contact us if you are unsure of your cemetery's requirements. 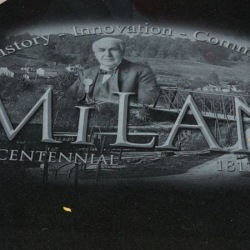 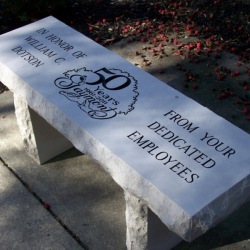 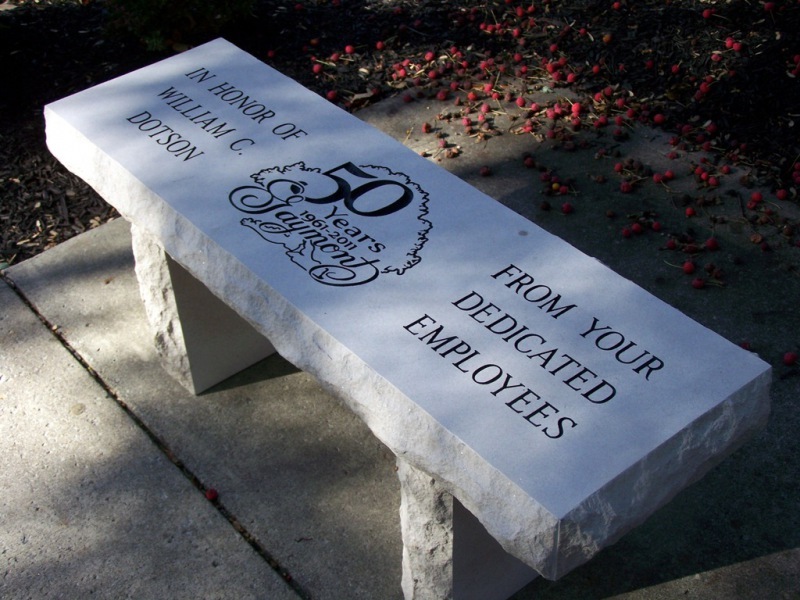 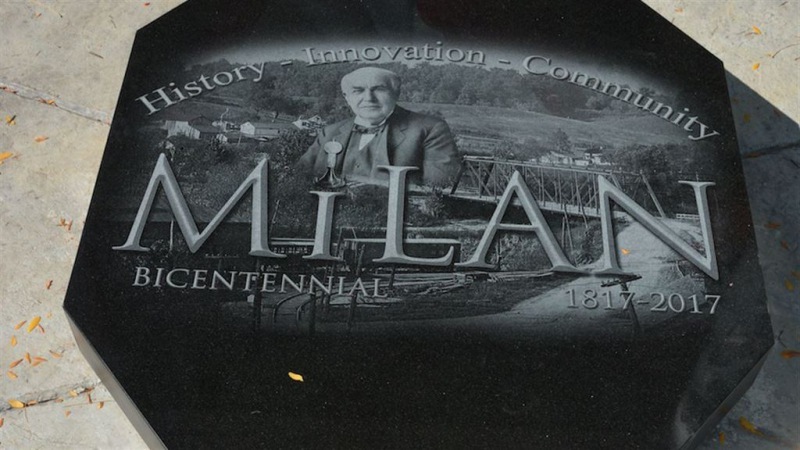 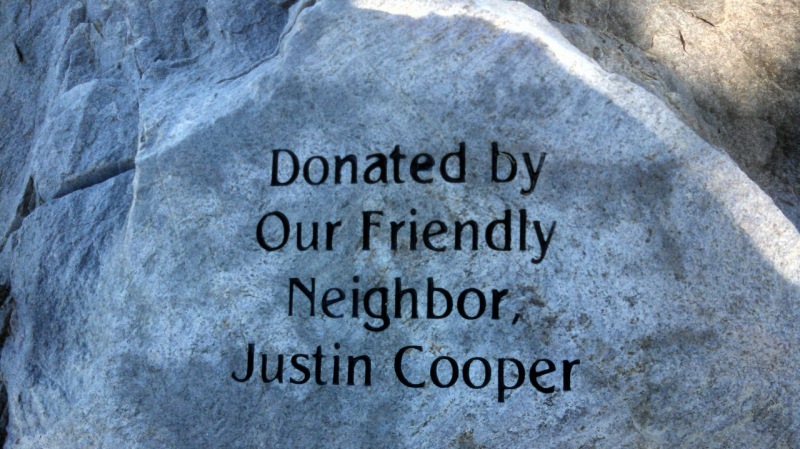 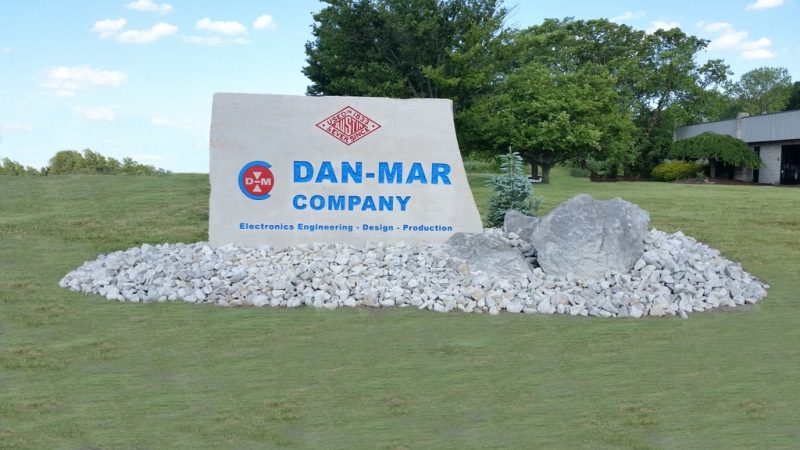 Whether you want to name an uptown park, engrave a boulder or stone sign outside your company's headquarters or etch a custom scene to commemorate a bicentennial, we've done it all! 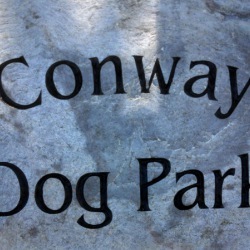 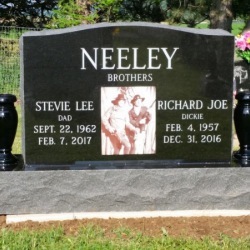 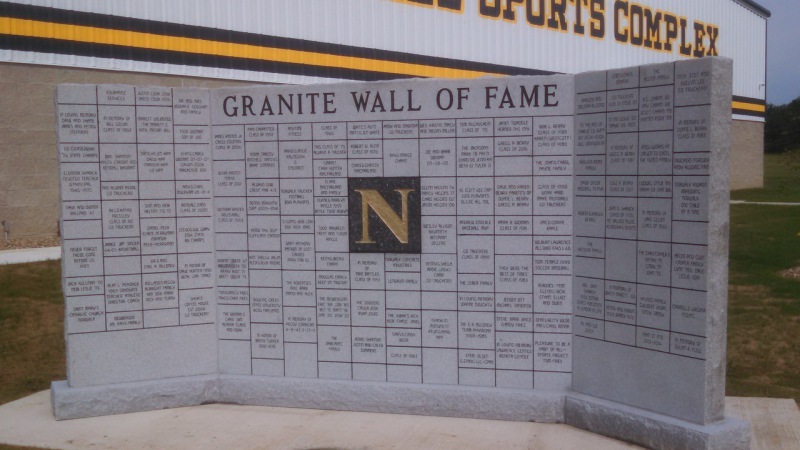 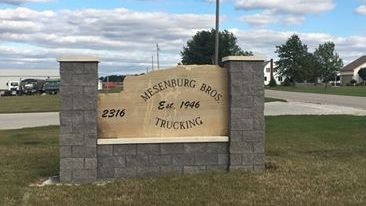 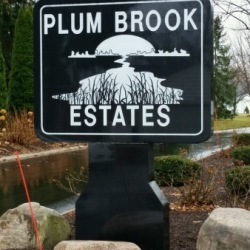 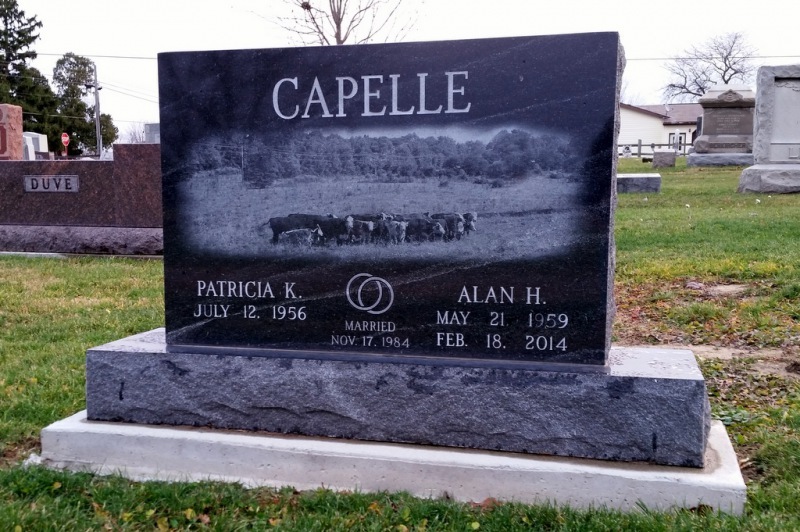 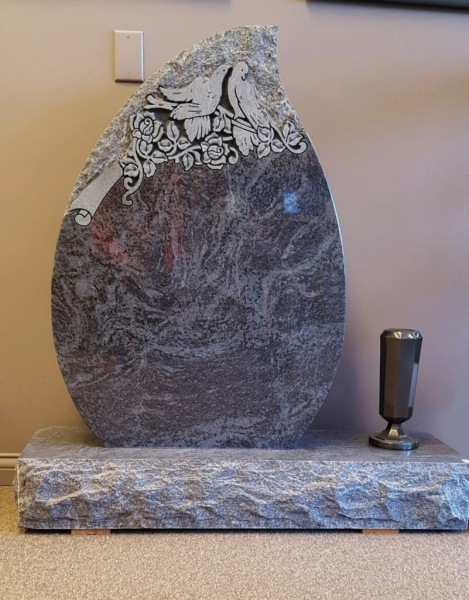 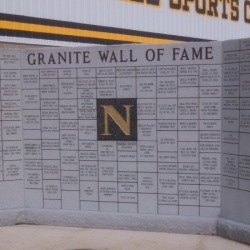 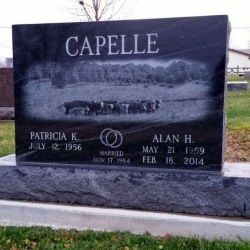 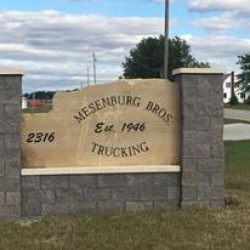 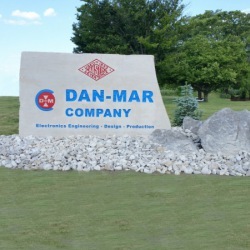 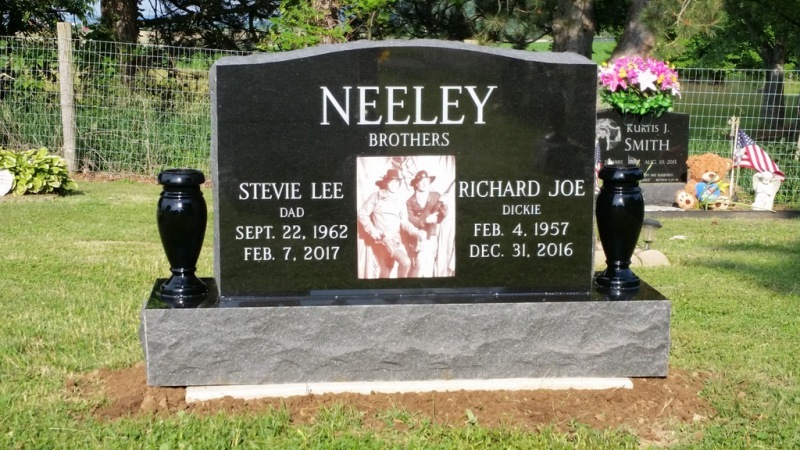 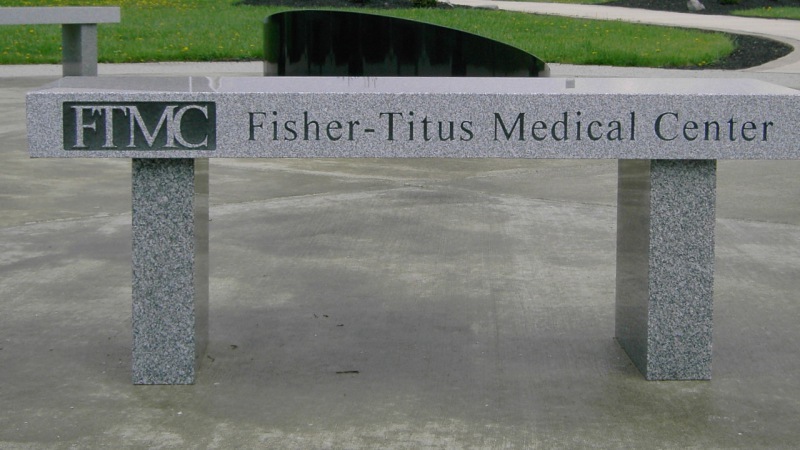 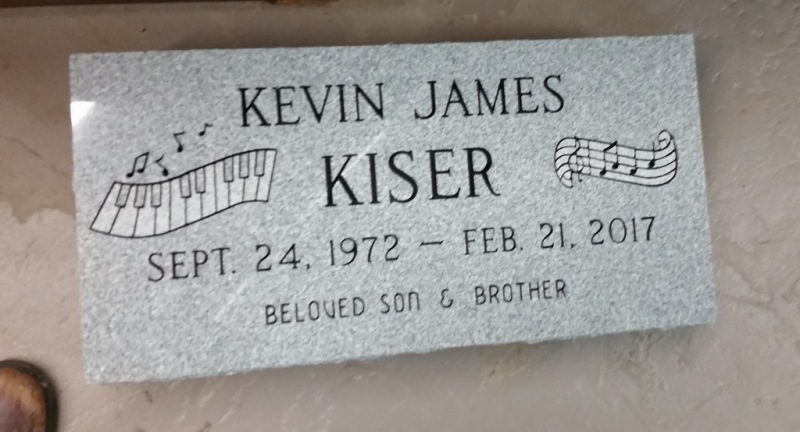 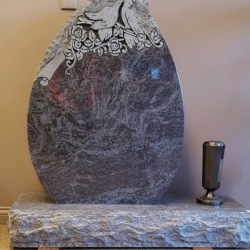 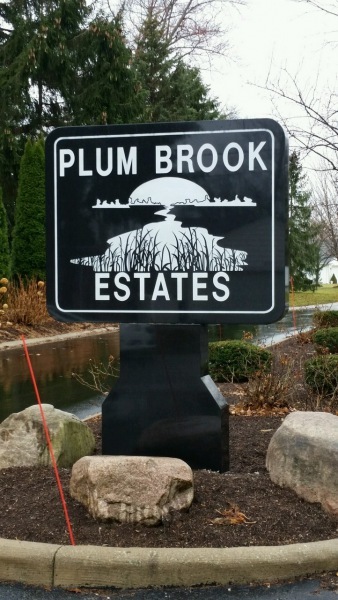 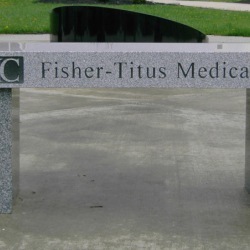 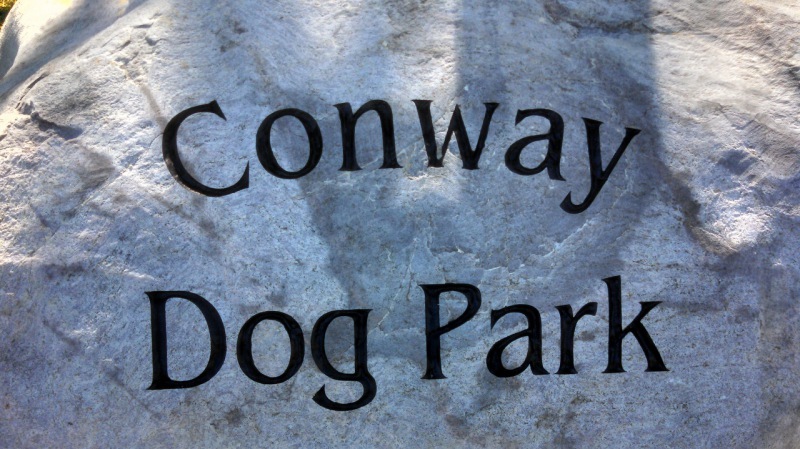 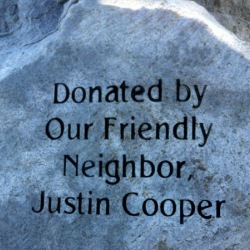 We can make a unique sign for your needs out of granite, limestone, sandstone or use your own boulder. 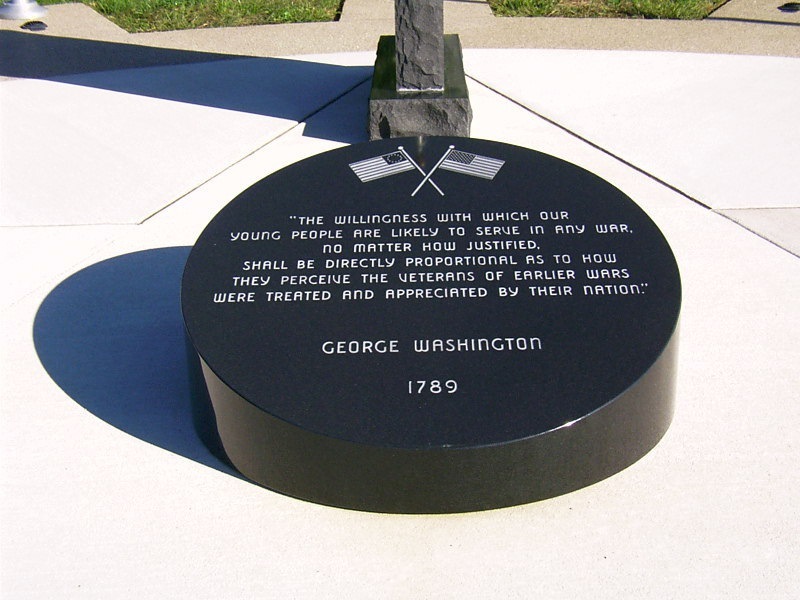 Franklin Monument has created a number of civic focused memorials. 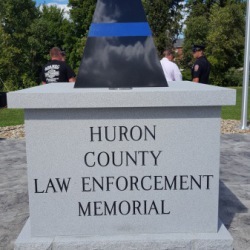 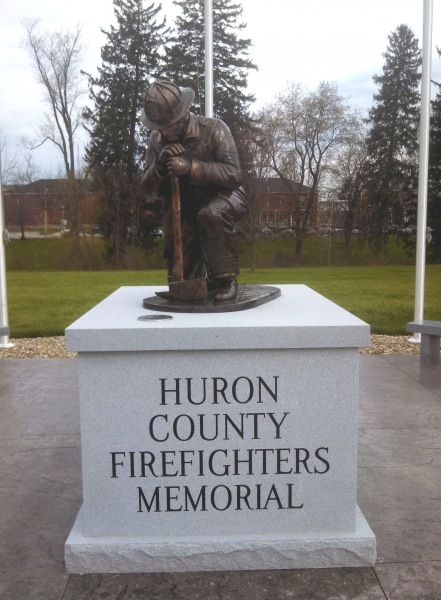 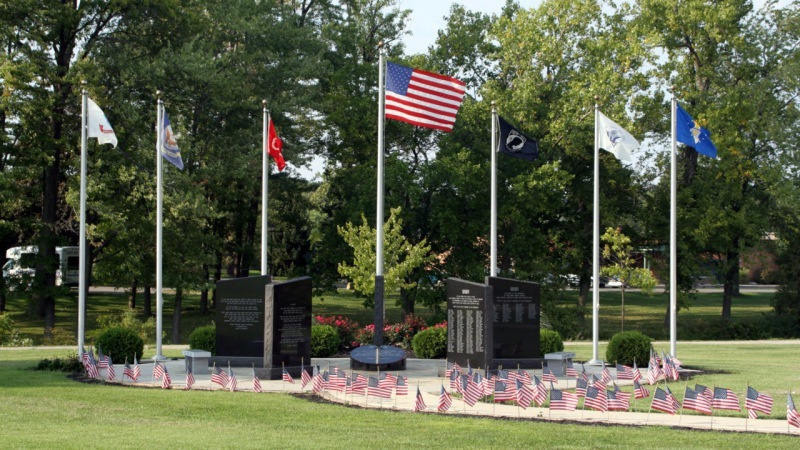 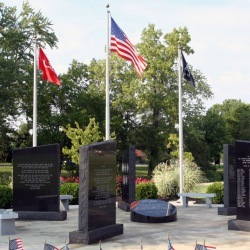 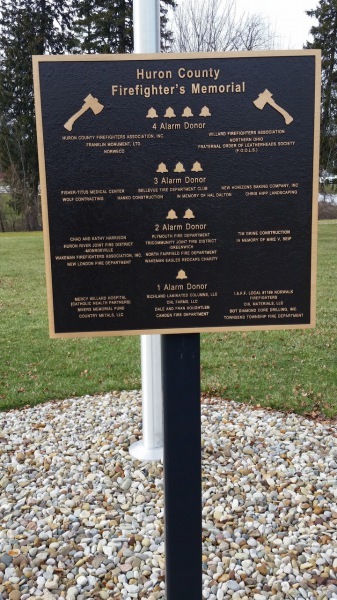 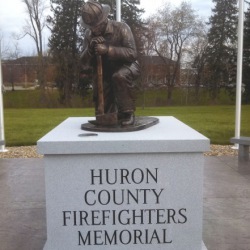 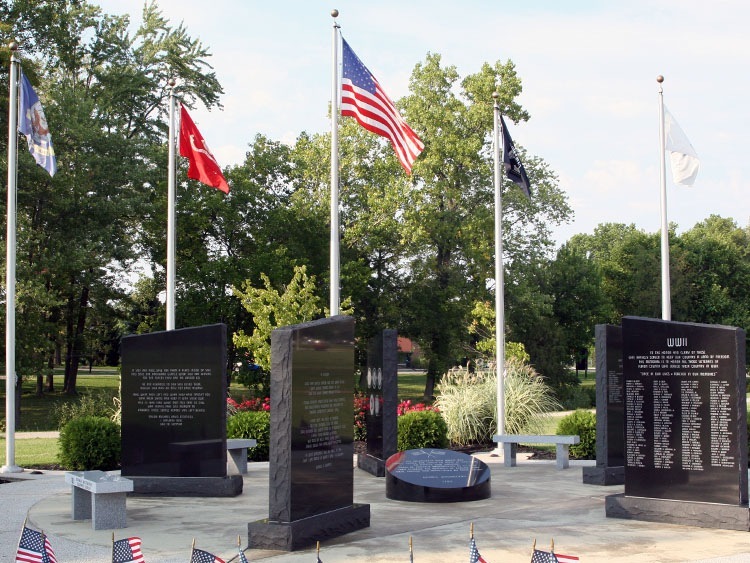 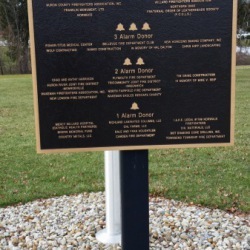 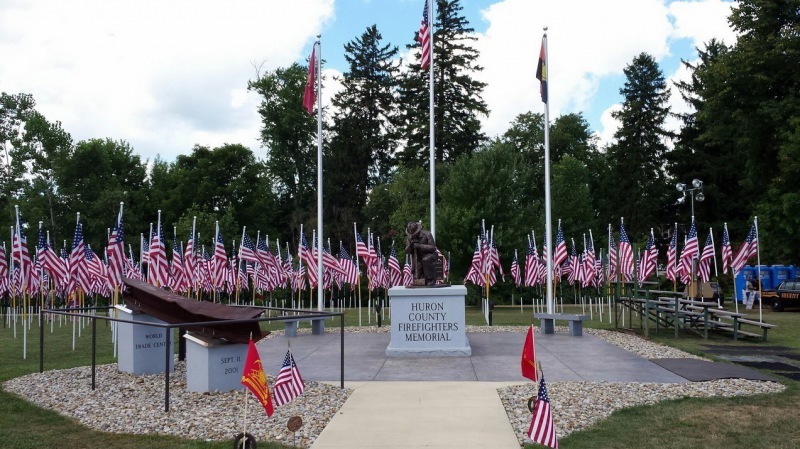 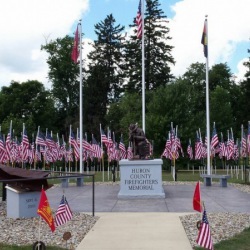 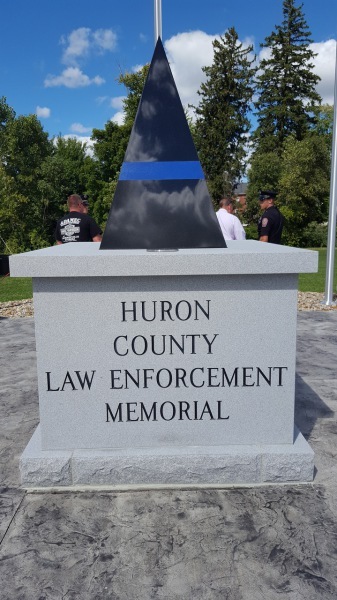 The Veterans Memorial and the Firefighters Memorial are just a few examples of the stone work we have provided. 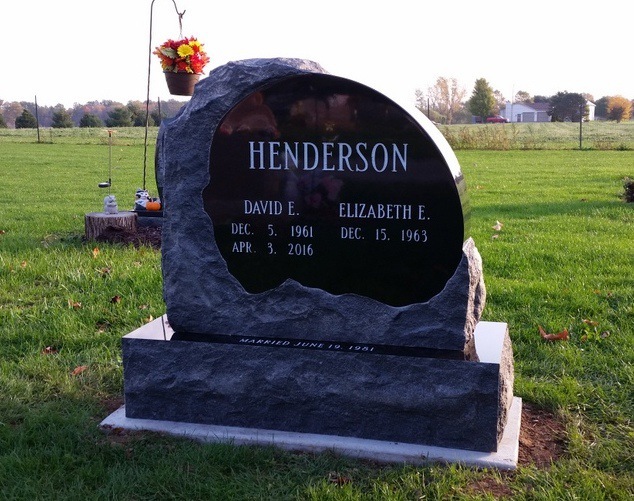 Let us custom design something for your needs! 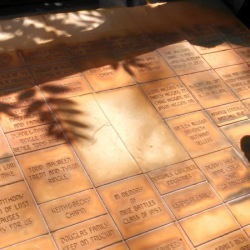 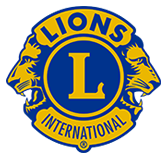 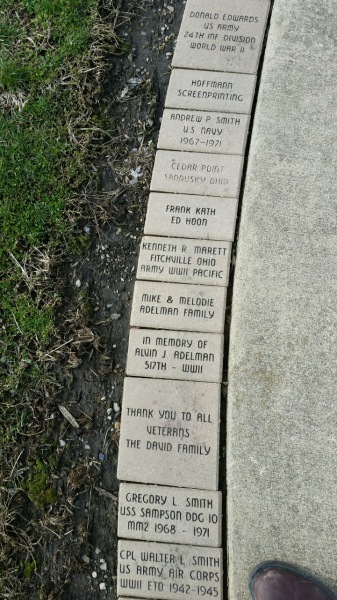 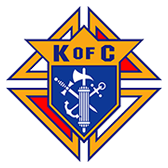 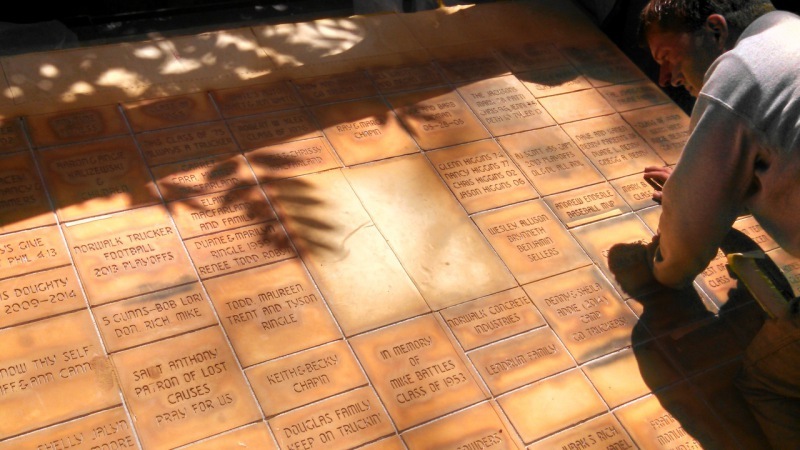 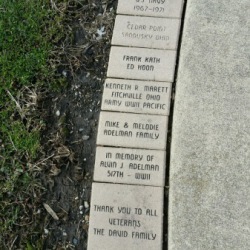 Several organizations and clubs sell bricks & pavers to raise funds for projects. 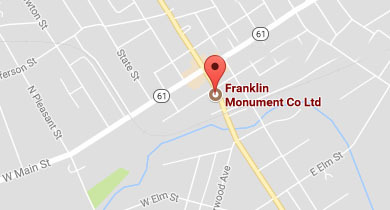 Franklin Monument is your source for fundraising needs.